It was indeed a perfect day with temps hovering around 78 all day with light breezes and low humidity! We did a lot of walking, sometimes as far as right next door! David Sanders is to be both thanked profusely and commended for putting an all A-List Tour together. Seconding Buddy's comments, all winners! 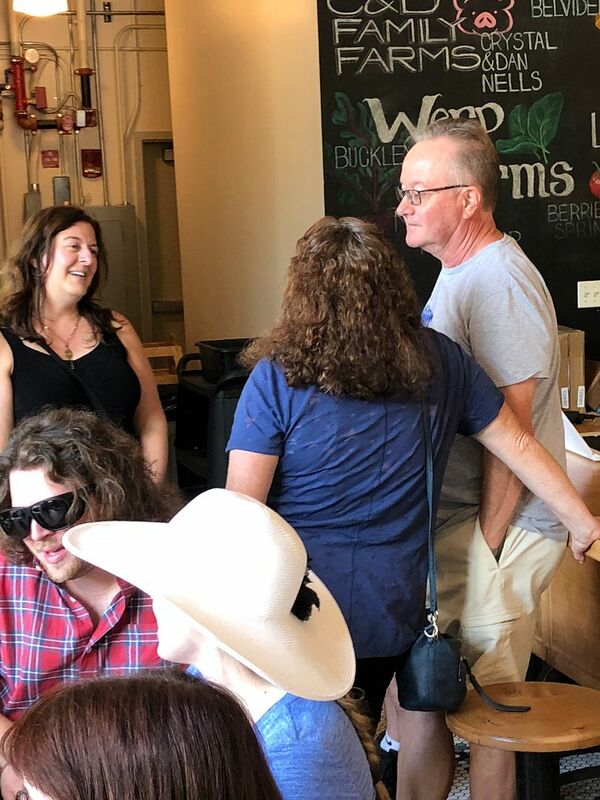 The highlight is typically different for each participant but for me, it was a chance to meet and talk with The Goddess of Pie, THE Hoosier Mama Pie Goddess Paula Haney. 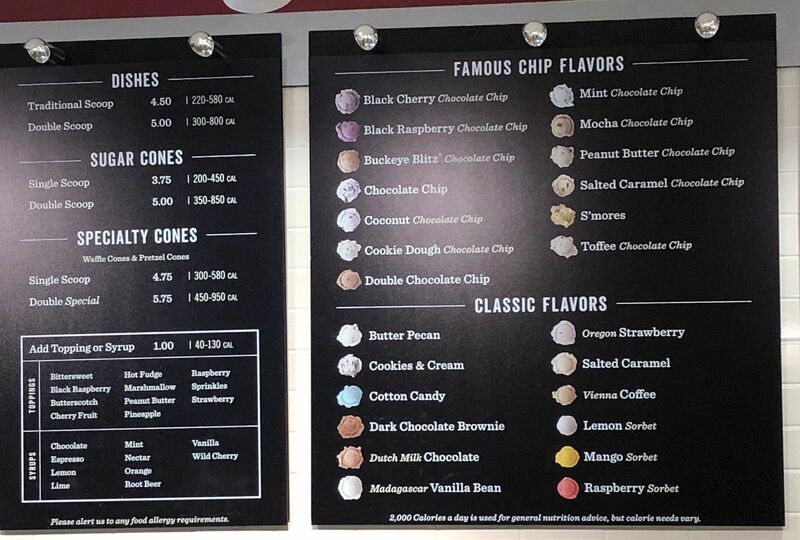 The Sour Cream Dutch Raspberry was one of my requests and made it to the menu that day and untimely to my stomach. 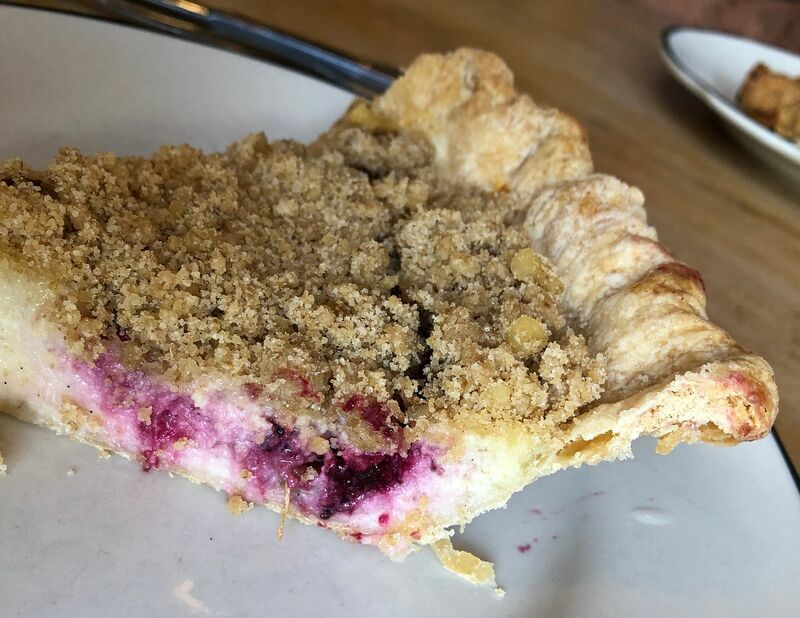 It was the equal of Sour Cream Dutch Blackberry but both, surprisingly to me we upended by Apricot Triple Berry Pie with Pecan Crumble. 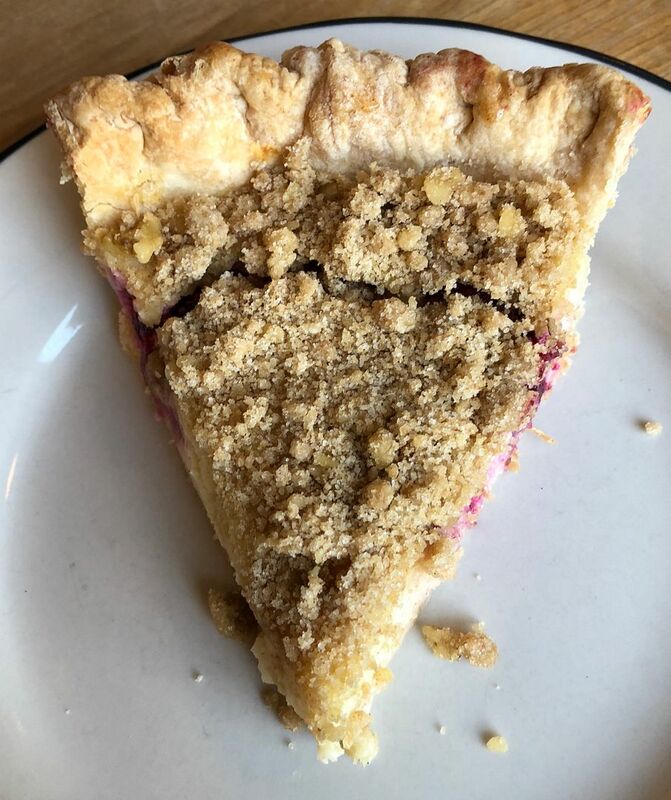 While the name was long, I would put this pie into my Top 5 of all time pie list. 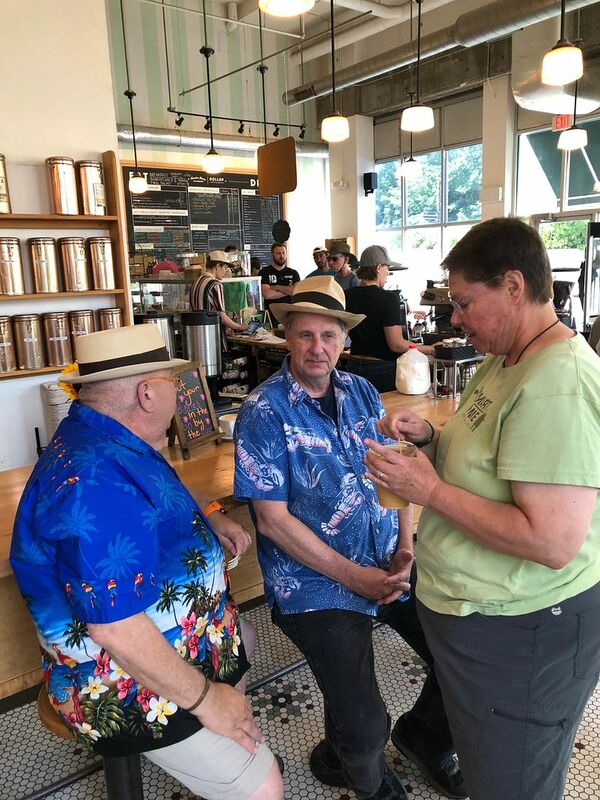 Interest note that Paula explained they can not always predict the outcome of that one as with 4 fresh fruits, the flavor can change, subtlety of course, as the plant, crate or ratio is slightly altered. Quick action on the part of Buddy Roadhouse kept the Ketchup Crisis of 2018 from fully erupting. The Char Salami Peace Treaty will forever be known as the Slab Treaty was successful on two fronts. The reunion of two long time friends and the introduction of another to The Slab! I do feel that the CTD & CB15 standoff will take a bit more coaxing as CB15 appears set in his non-posting ways. I didn't even get a good bye hug! BTW, Lutefisk will never compare with Cortados or Charred Salami! You are just so wrong. The French bread was perfect with the charred salami. Excellent flavor and mouthfeel. 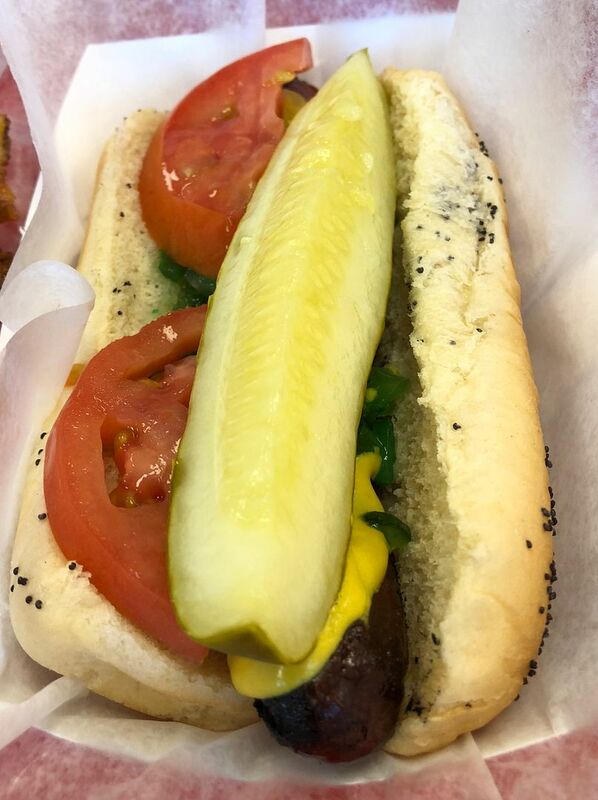 Much as with a bratwurst, a hotdog bun with this fine sausage would be disgusting. This bun added to the eating experience, instead of being just a calorie delivery device. All I can say is Vive La Différence. You can enjoy the chew,while I prefer the path of least resistance to my Char-Salami. ScreamingChicken would have been in ecstasy over this beautifully prepared yardbird. Unless I'm mistaken, you also once waxed similarly eloquent about KFC Extra Crispy. 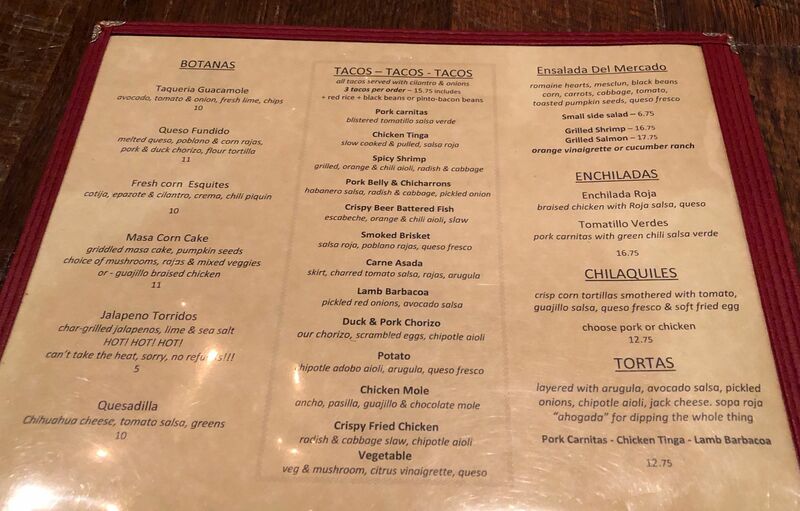 Had I been able to make the trip my plan was to stop at ECS first before meeting the group for tacos and burgers. However, since that didn't happen I'm considering a Saturday morning visit after the weather cools off and the interstate traffic lightens a bit. This is true. However, I was talking about its effectiveness as a doorstop. A full box of KFC Extra Crispy definitely keeps your doors from being inconveniently slammed shut by sudden gusts of wind. ...I'm considering a Saturday morning visit after the weather cools off and the interstate traffic lightens a bit. Keep us posted on that excursion. 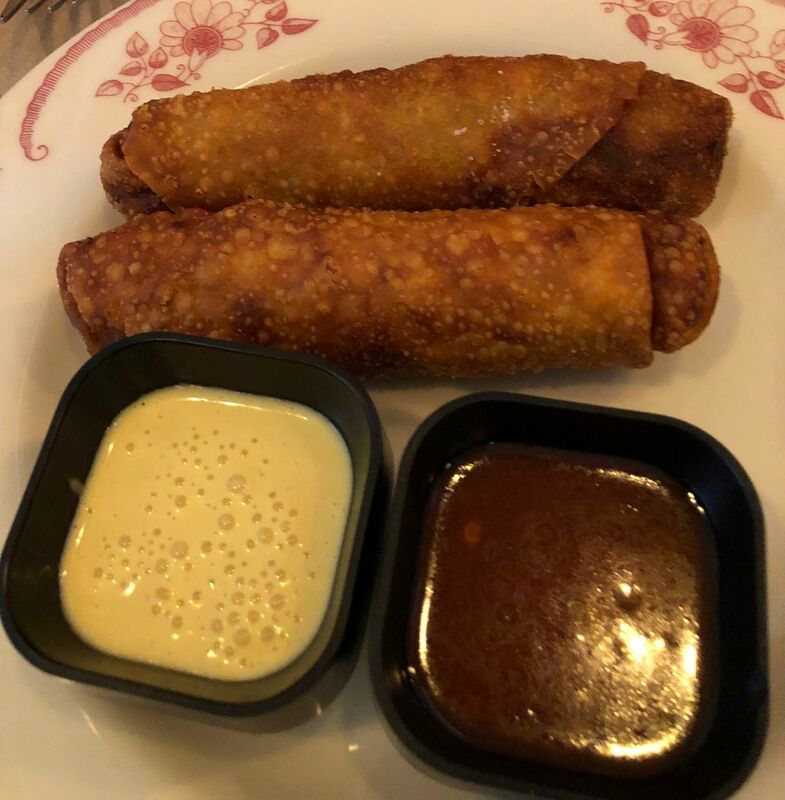 We'd definitely join you for lunch. We still need to try the sides as we only focused on the proteins yesterday. I told Buddy we should have gotten more than one pound of shrimp. 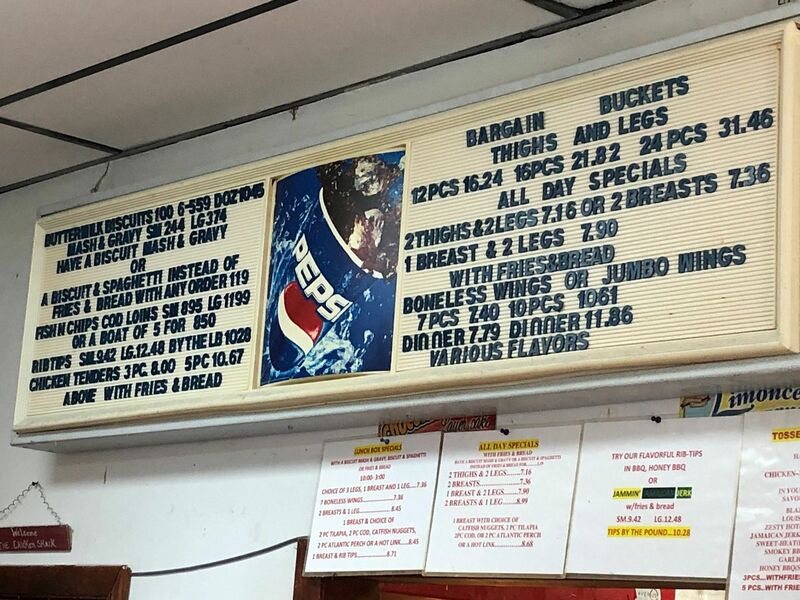 I was so hungry by the time we left my house, not having had a chance to eat an additional 20 or 30 shrimp, I could hardly wait to get to Poochie's. 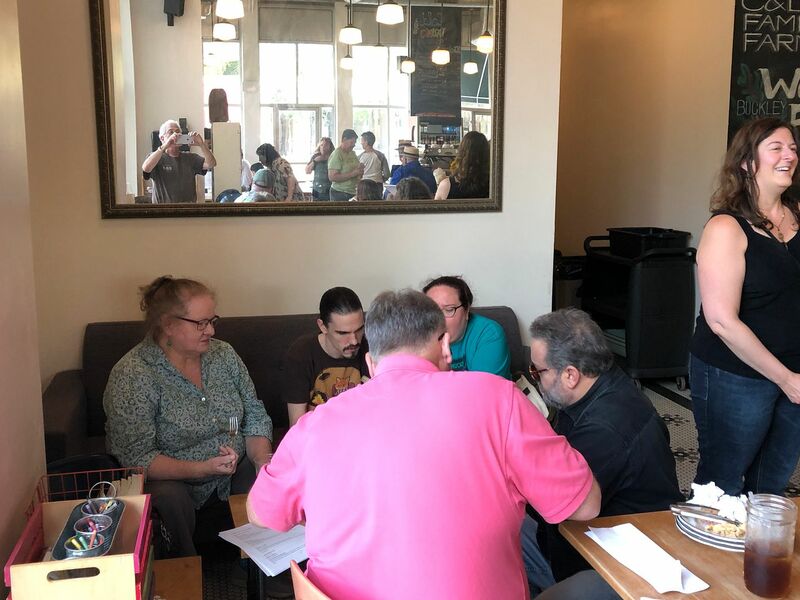 I am so very happy that Evanston Day was such a success. 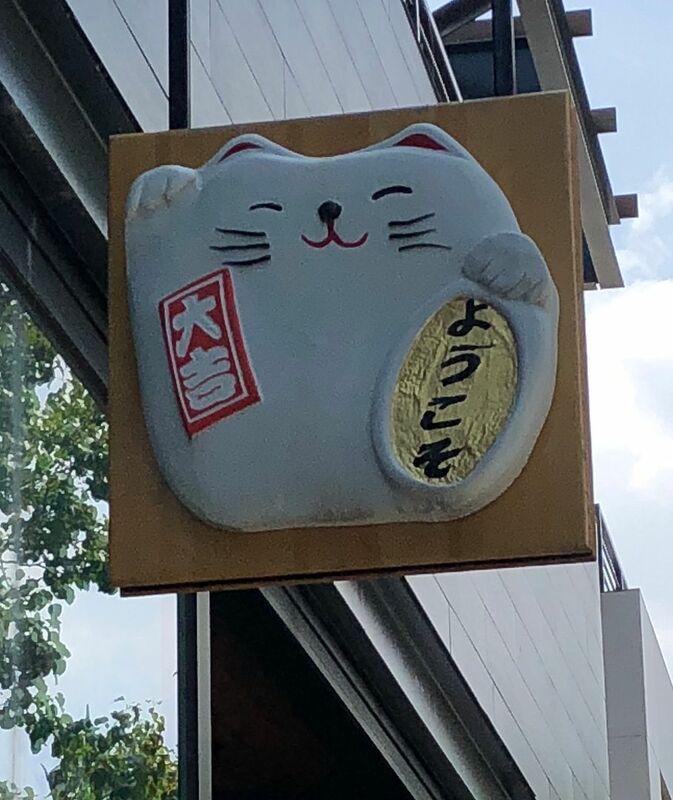 Here is my report. Stop no. 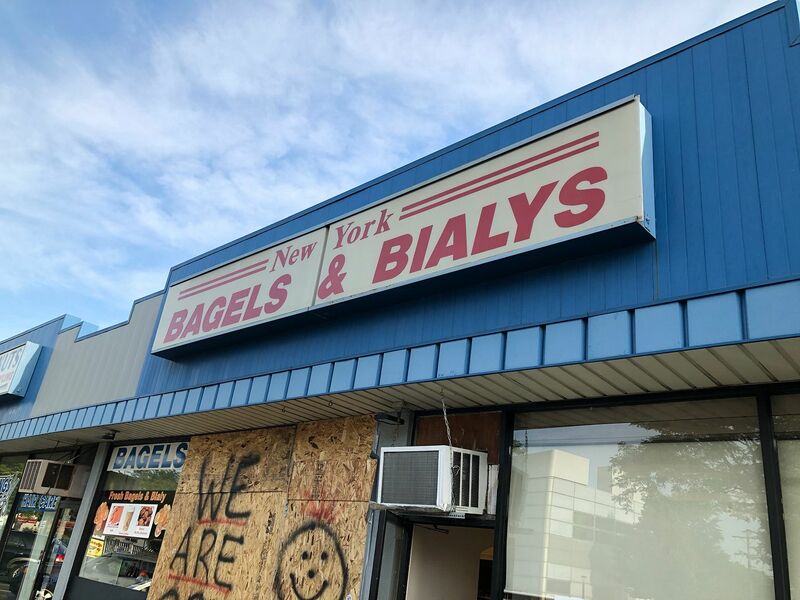 1, New York Bagel and Bialy. 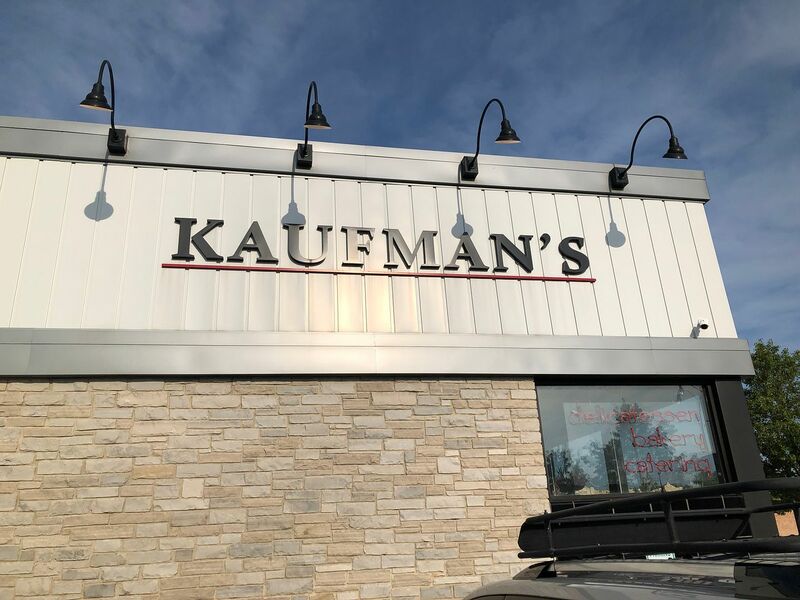 I started with a pre-first stop visit to Kaufman's Deli to pick up some belly lox for the first stop. I found Gregg and Danny waiting when I arrived just before 8 a.m. The three of us were the only ones who managed to make the first two spots. 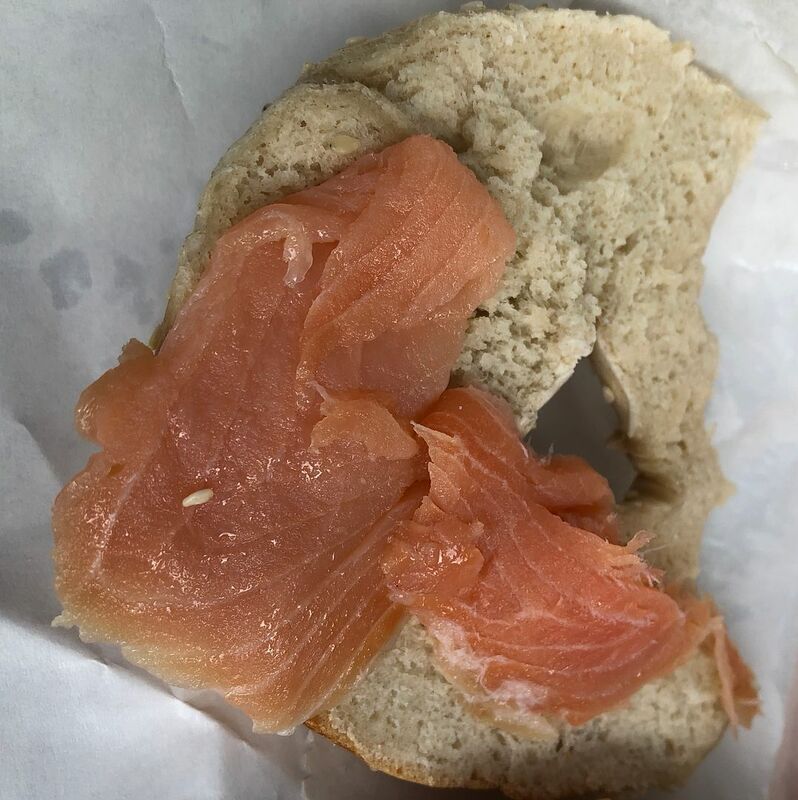 The belly lox was wonderfully salty. 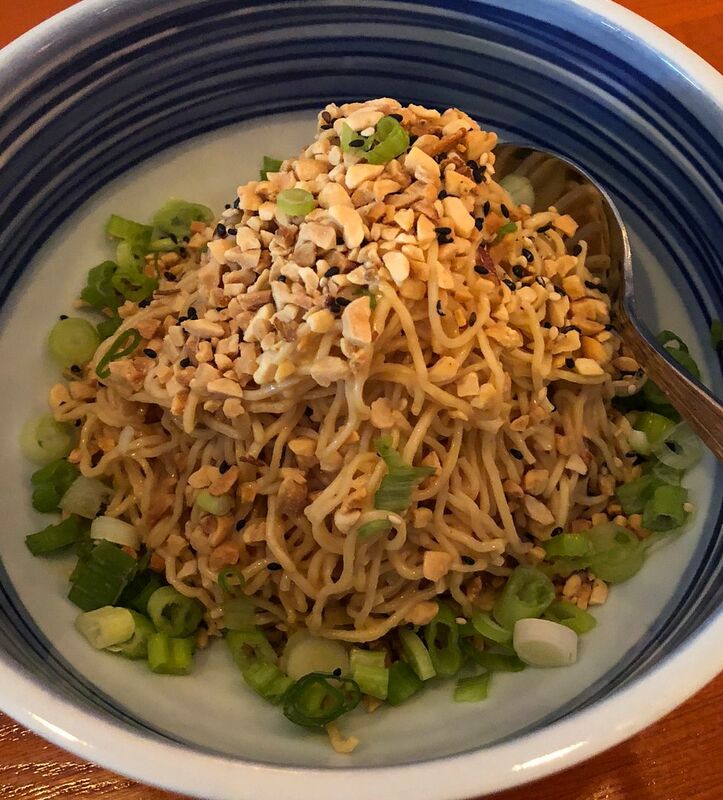 Danny and I both had a sesame. 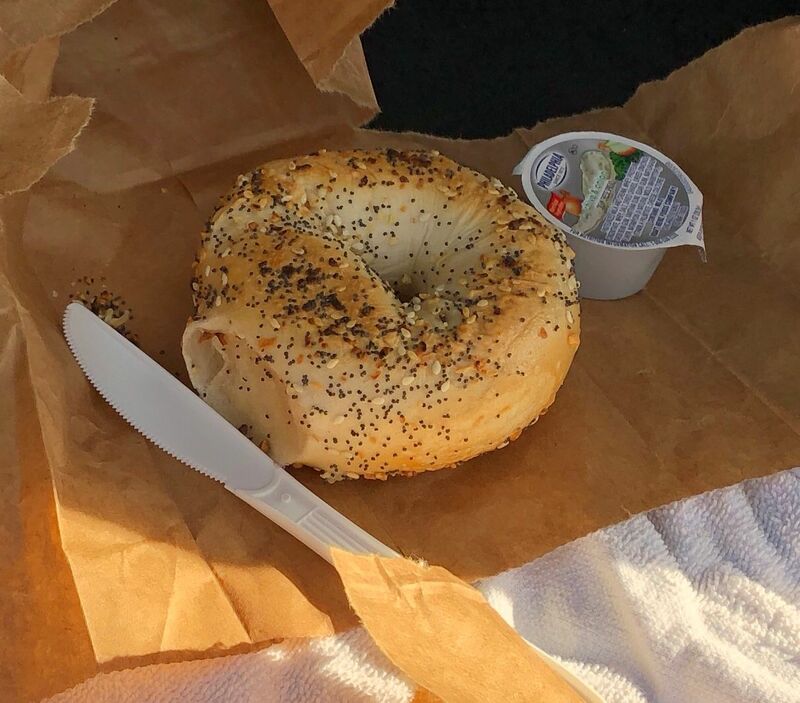 Gregg had an everything, with cream cheese. 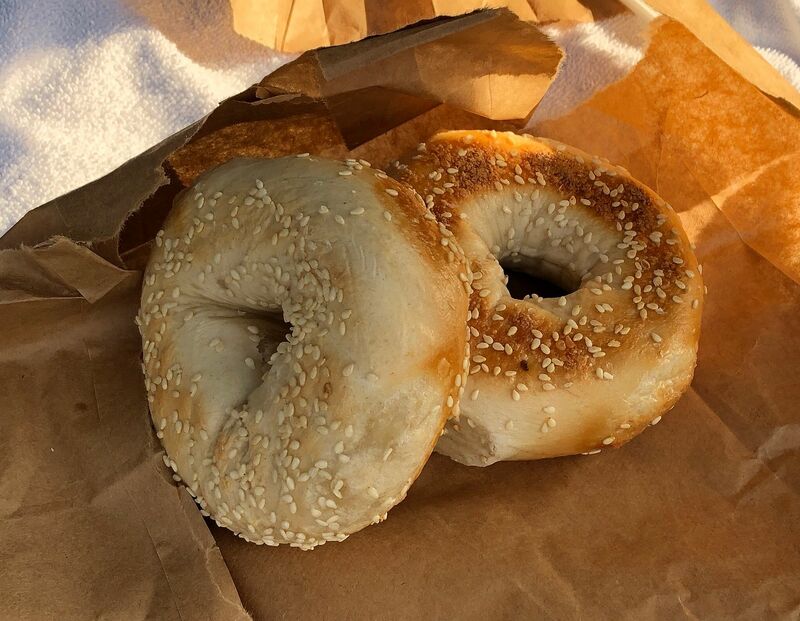 I had never realized that this branch of NY Bagel only sells bagels and other baked goods. 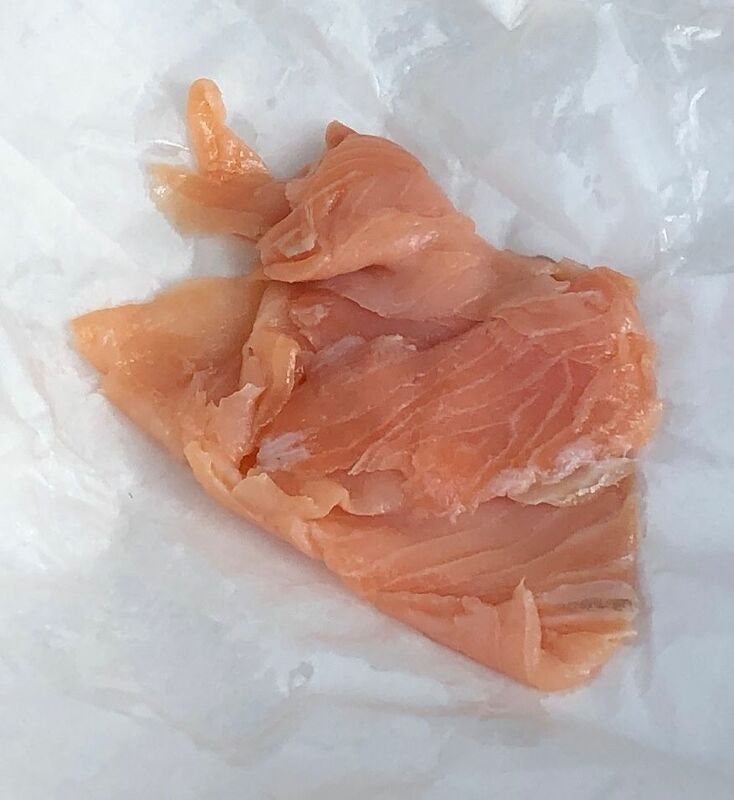 They do sell packaged cream cheeses and other spreads, as well as packaged lox (Nova). 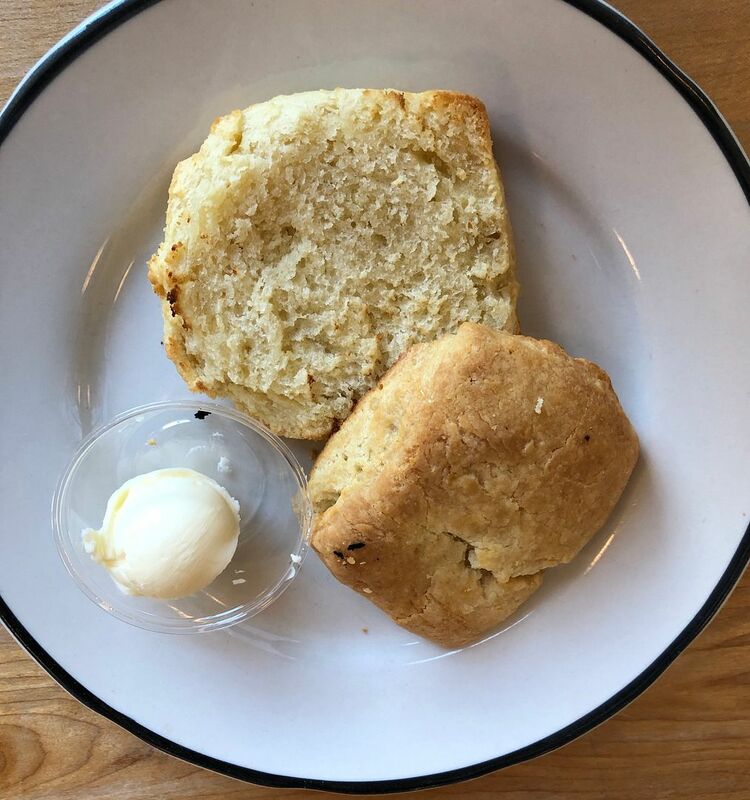 What they don't do is serve a bagel spread with cream cheese or anything else. Their license doesn't allow it. Stop no. 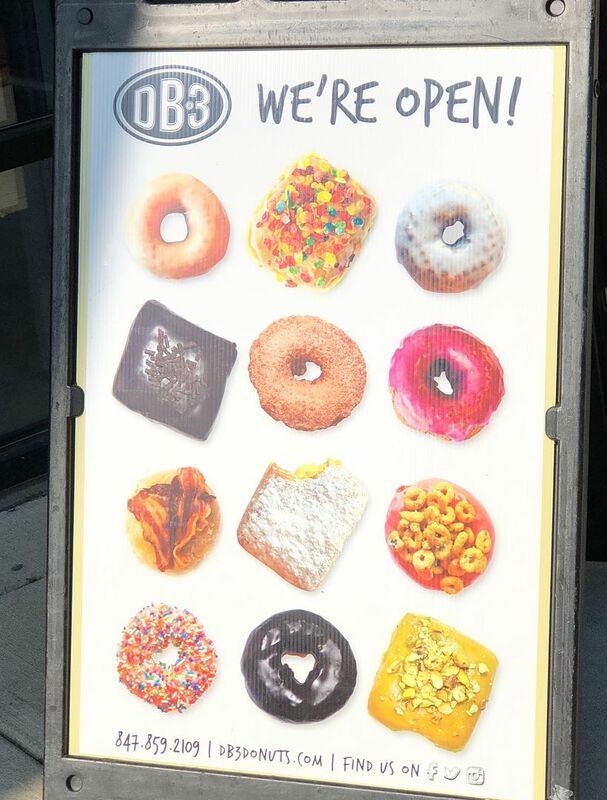 2, DB3 Donuts. They have plenty of varieties to choose from. 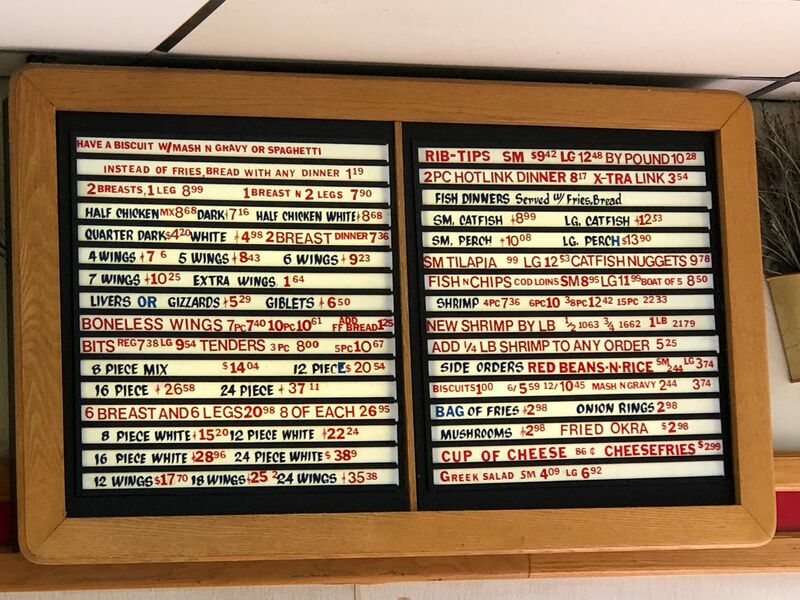 Gregg ordered a few for the three of us, plus an assortment that BillyBoy had asked him to bring to the first official stop. 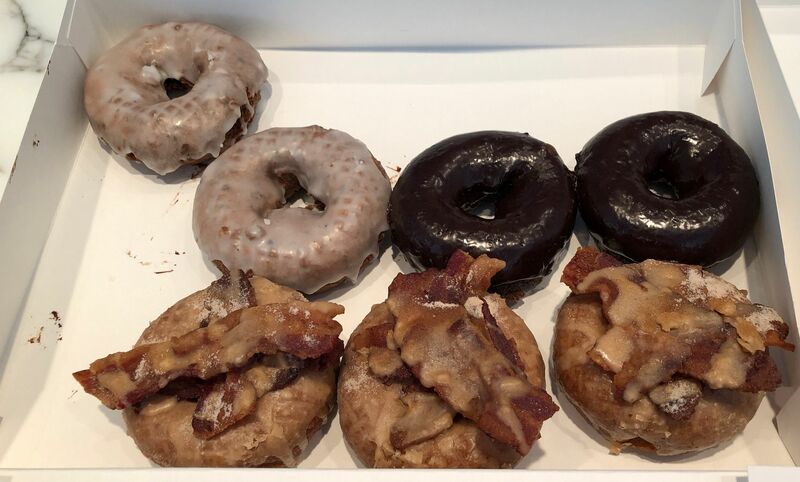 These included the Dude (maple bacon), blueberry lemon glazed, chocolate ganache. 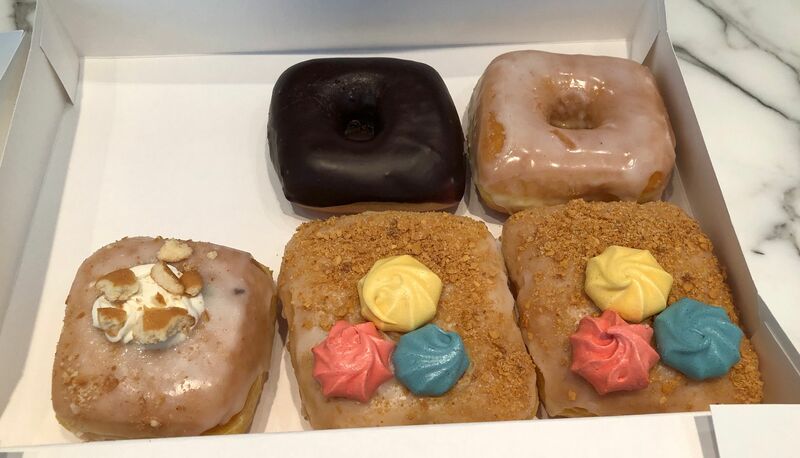 Lemon meringue filled, banana cream filled, vanilla raised glazed, chocolate raised, glazed raised. 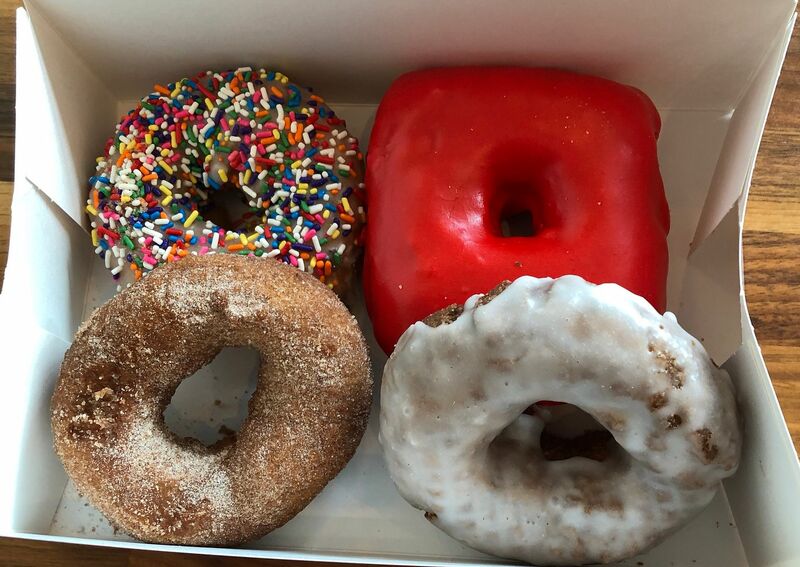 Vanilla sprinkles, strawberry raised, maple cinnamon, another blueberry lemon glazed. Another dude and the fruity pebbles. 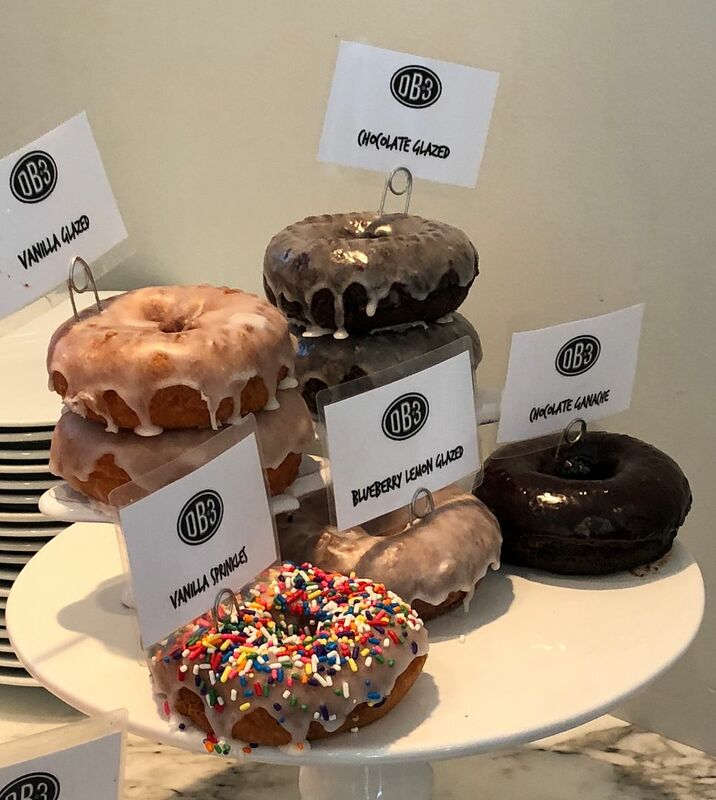 I really like these donuts. 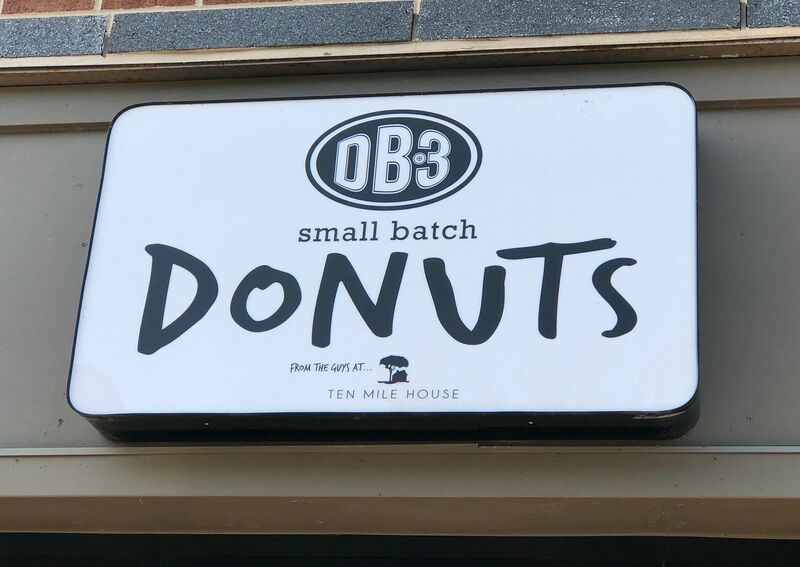 Five Daughters in Nashville probably has a slight edge here, but still, these are really good donuts. 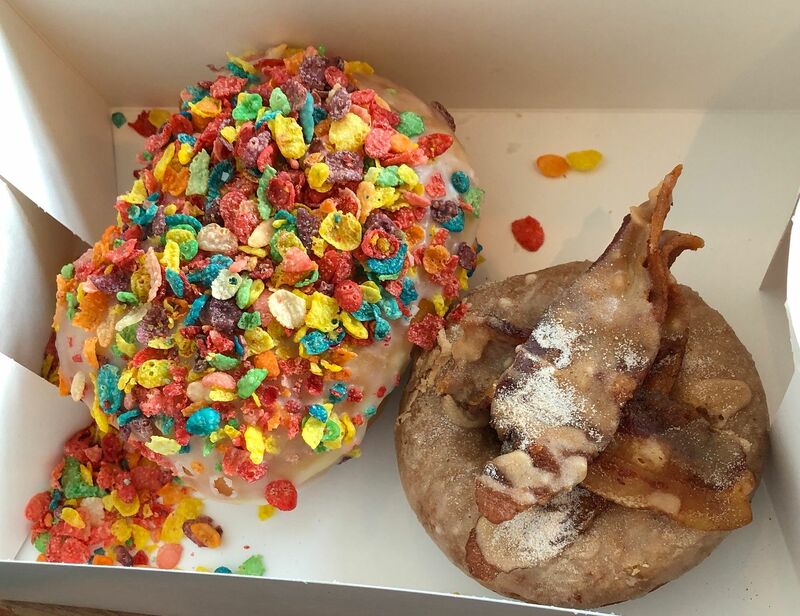 I really liked the Dude, my first maple bacon donut. 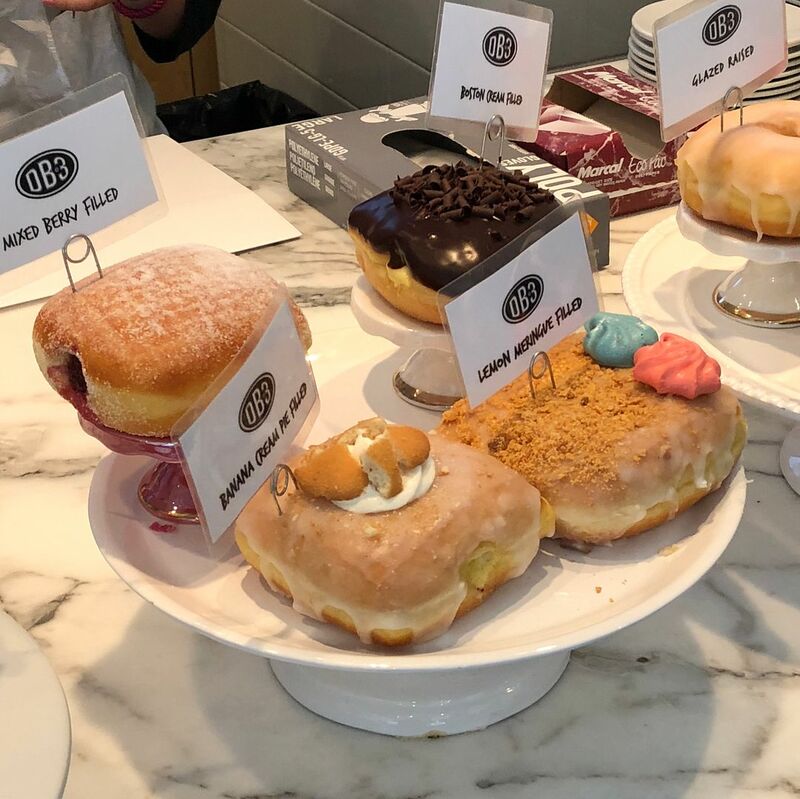 I've been avoiding this type of donut for years, not wanting to become addicted to something else. I guess I'll find out over time if I'm able to resist them in the future. This was the favorite donut of our little group. 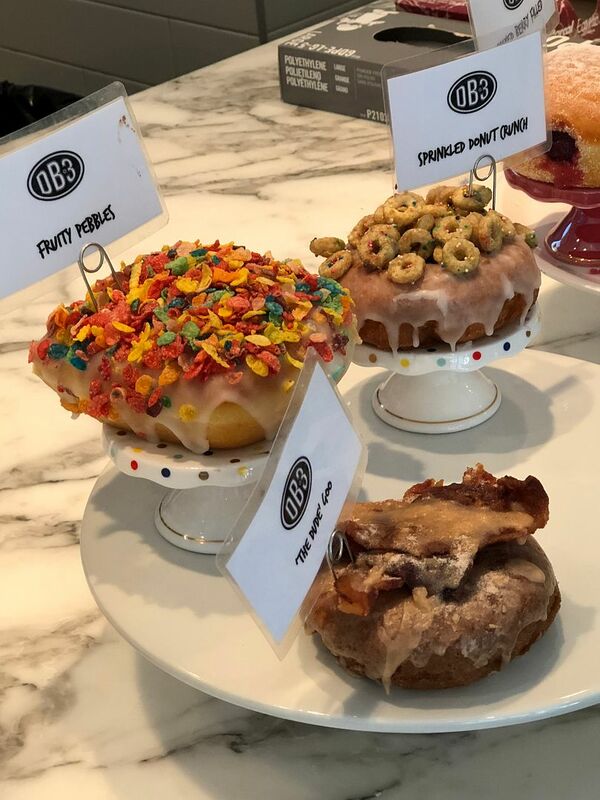 I also liked the vanilla sprinkles and the fruity pebbles, although I don't think it actually needed the cereal on top. Stop no. 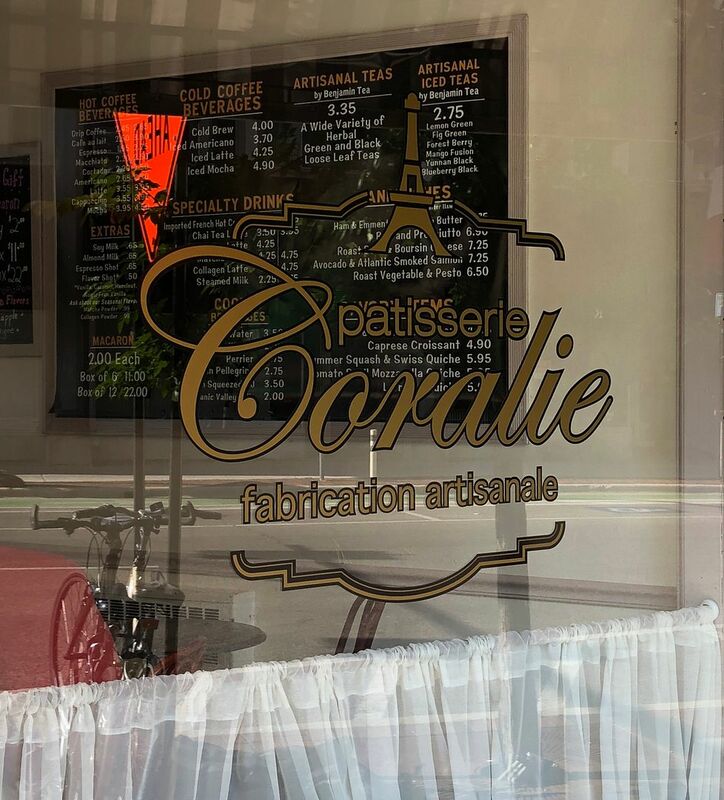 3, Patisserie Coralie. 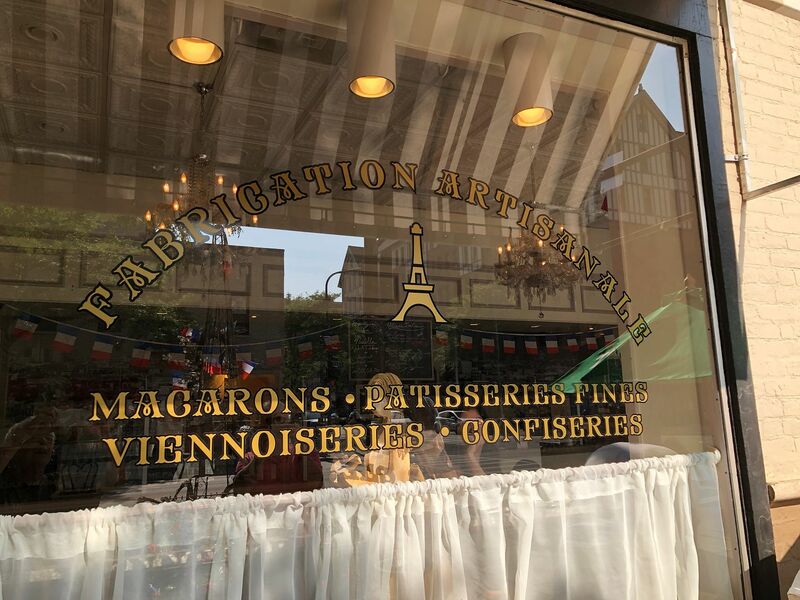 Patisserie Coralie is a great French bakery. Okay, so it’s not as good as actually going to Paris and going to an actual French bakery, but it’s so much easier for me to get to. It’s another place that I try to stay away from, most of the time. 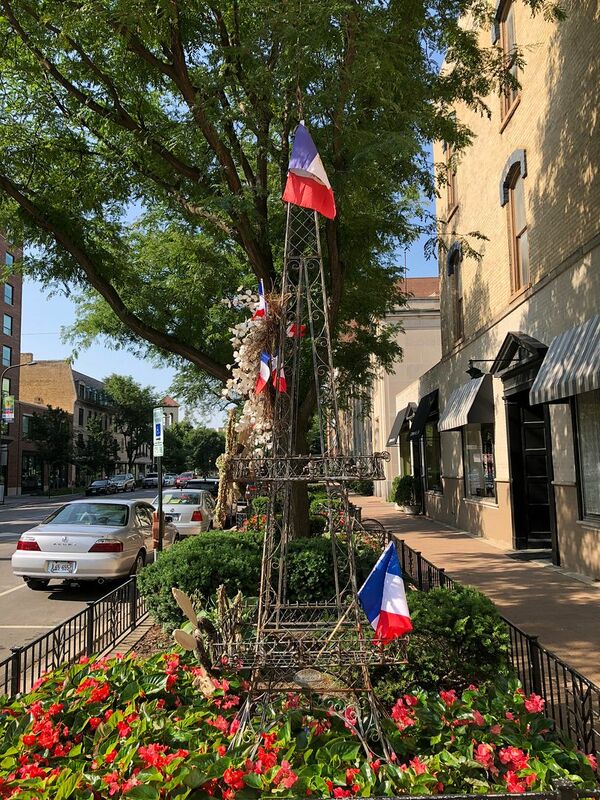 Had anyone heard that they moved the Eiffel Tower to downtown Evanston? 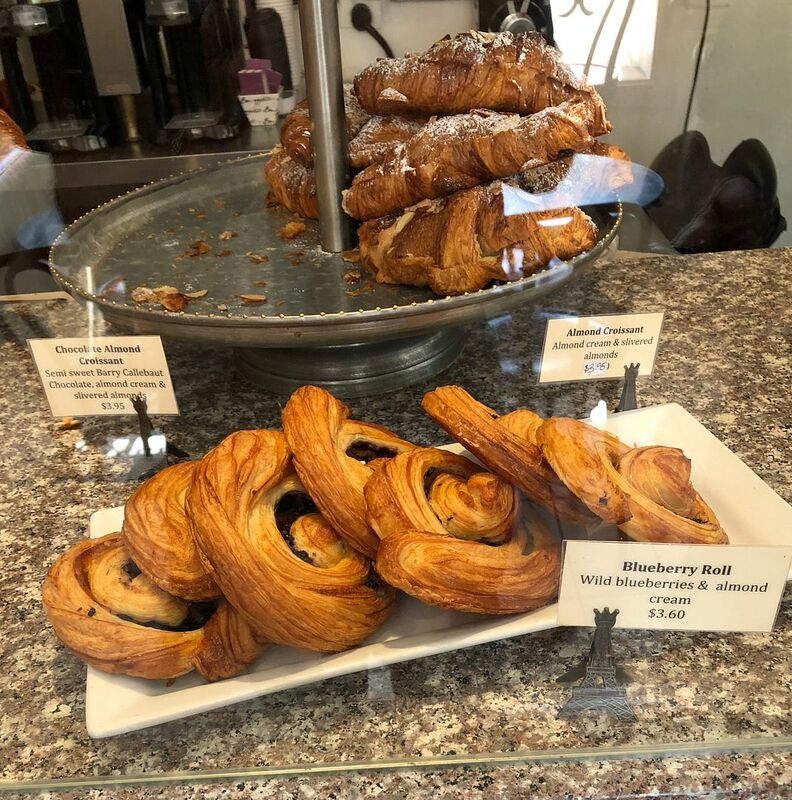 I've had a number of their pastries, including the blueberry roll, plain croissants and the strawberry and almond cream croissant. They're wonderful. Once again Gregg ordered for us, and an assortment for BillyBoy. 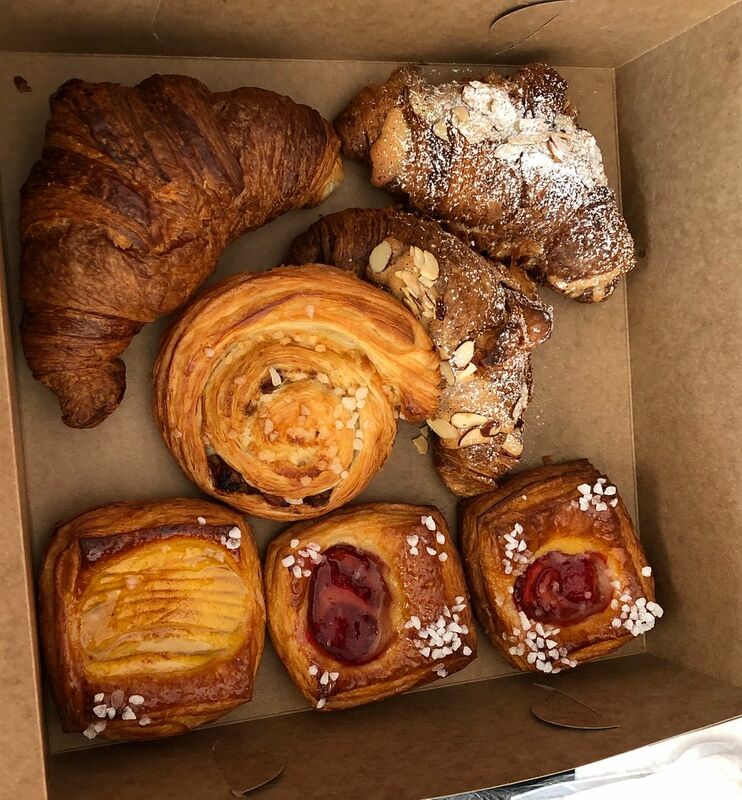 Plain croissant, almond croissant, apple and cream croissant and strawberry and almond cream croissant. Not sure what the one in the center is. 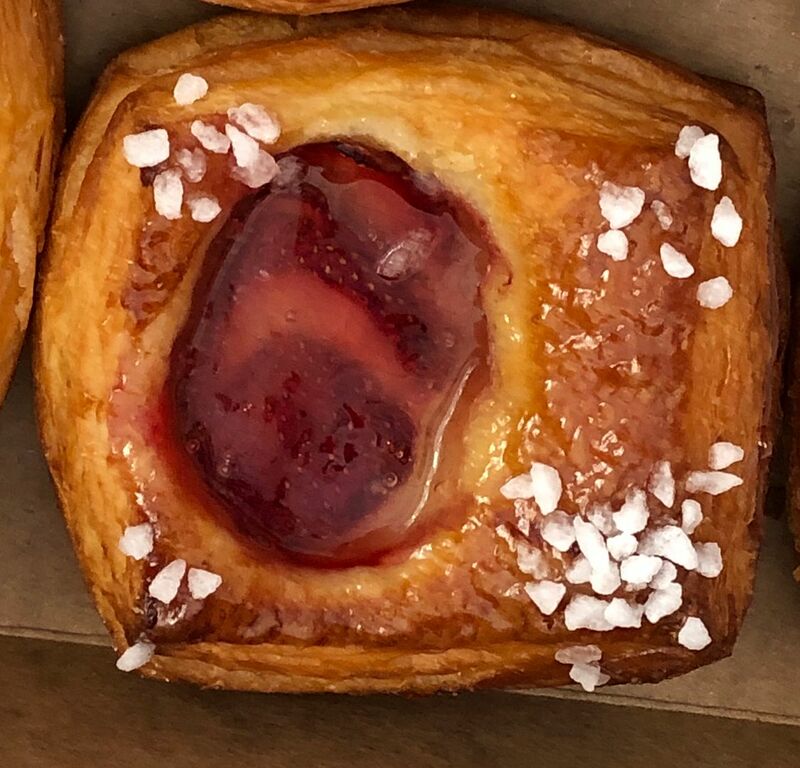 The strawberry almond cream croissant is wonderful, but knowing what was coming the rest of the day, I showed some restraint and only had about a quarter of one. There are some decisions that you always regret. Stop no. 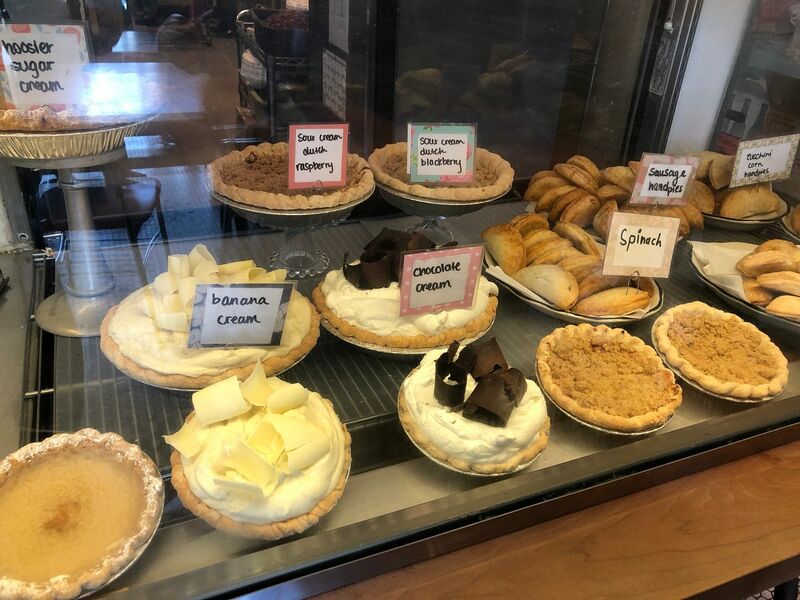 4, Hoosier Mama Pie Company. The 12 additional members of the group arrived at this stop. Hoosier Mama Pie is remarkable. I’ve said so much about Paula Haney and what an artist she is, and every word is true. 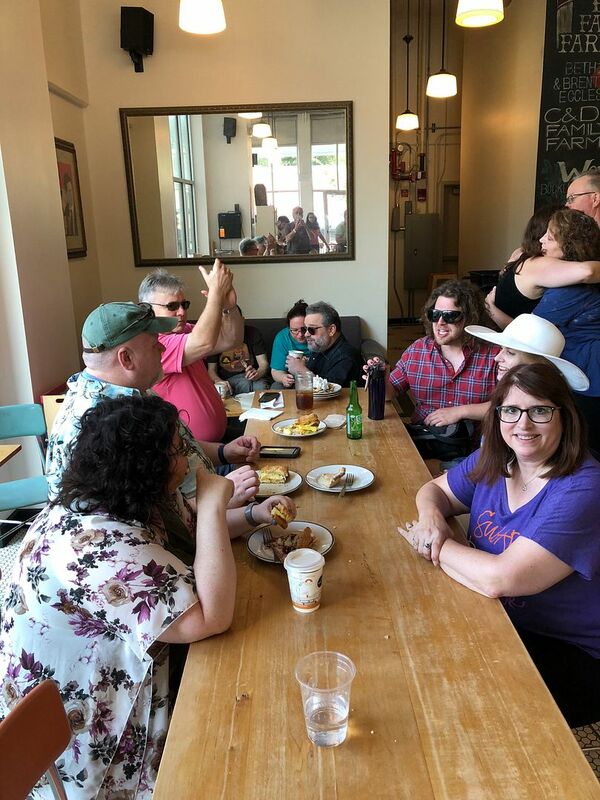 This was our first official stop of the Crawl, and by this time all had arrived. 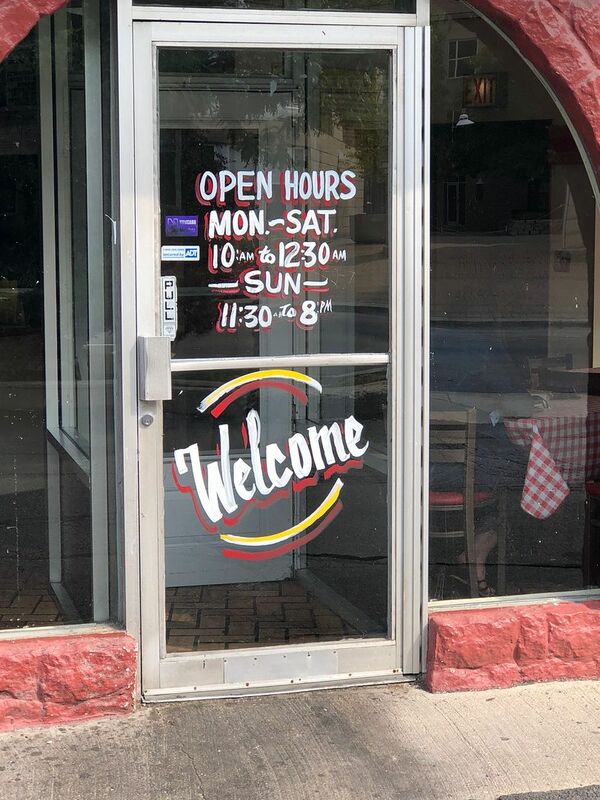 Most everyone has been here, but it’s always a great experience. And it was again. 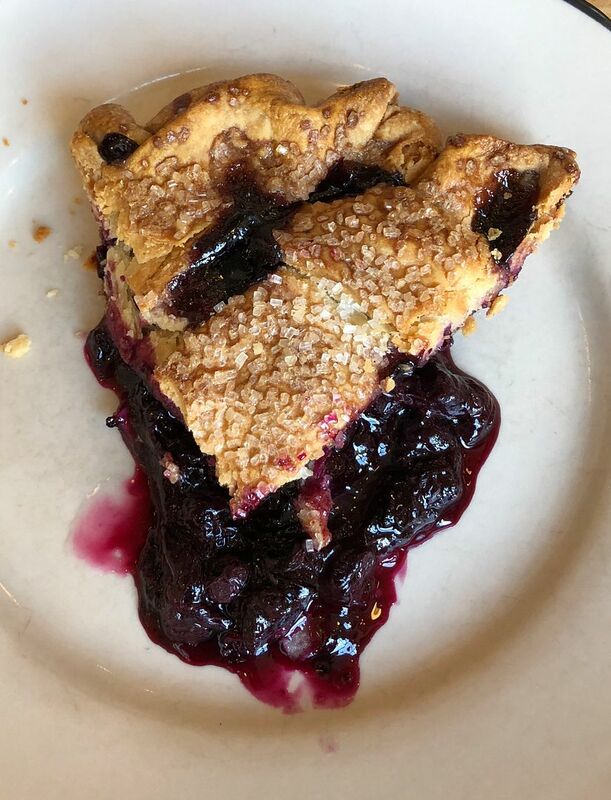 And it will be again in the future, maybe even tonight for more blueberry pie. It was fun watching Paula and ChiTownDiner discuss the finer points of pie. ..... and a slice of Blueberry. 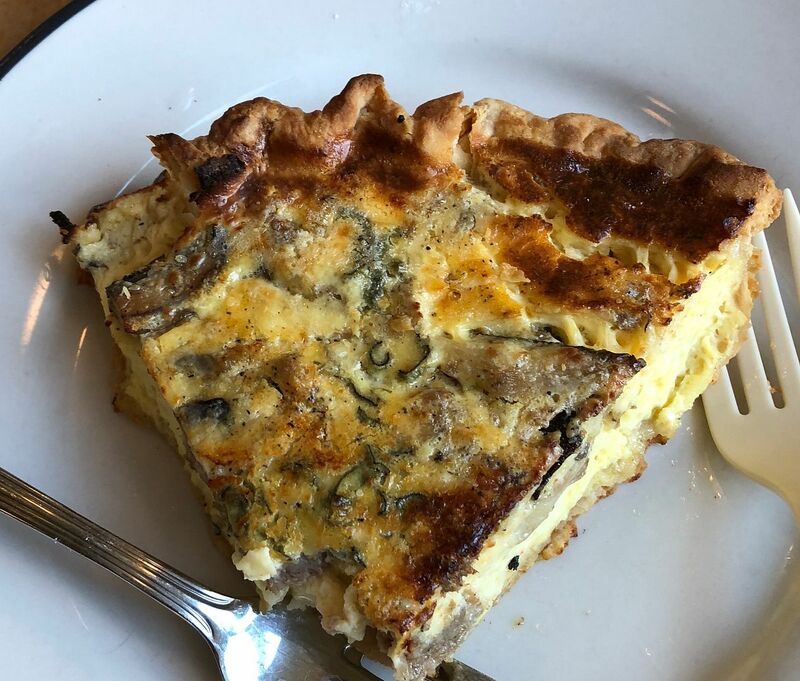 I've had the excellent quiche before, and at least one was ordered by the group. Stop no. 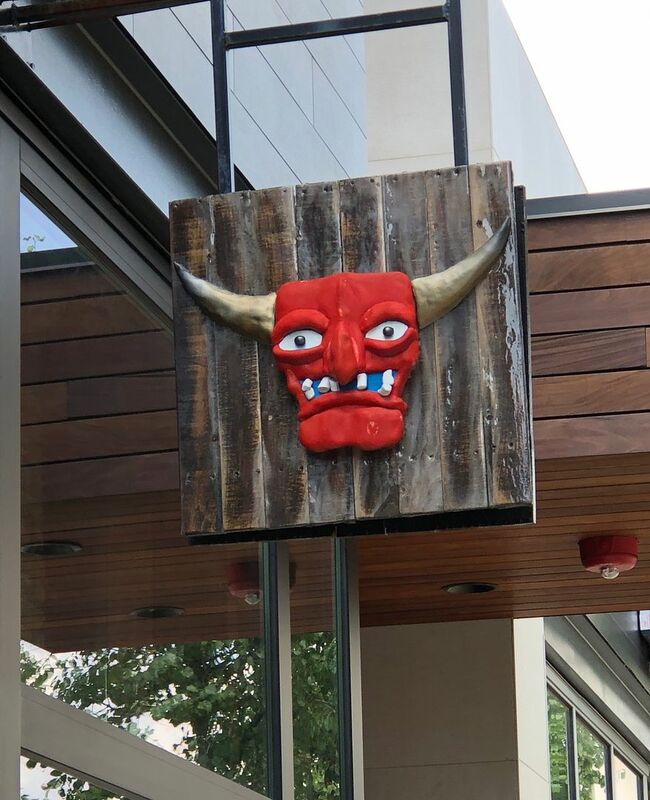 5, Taco Diablo. 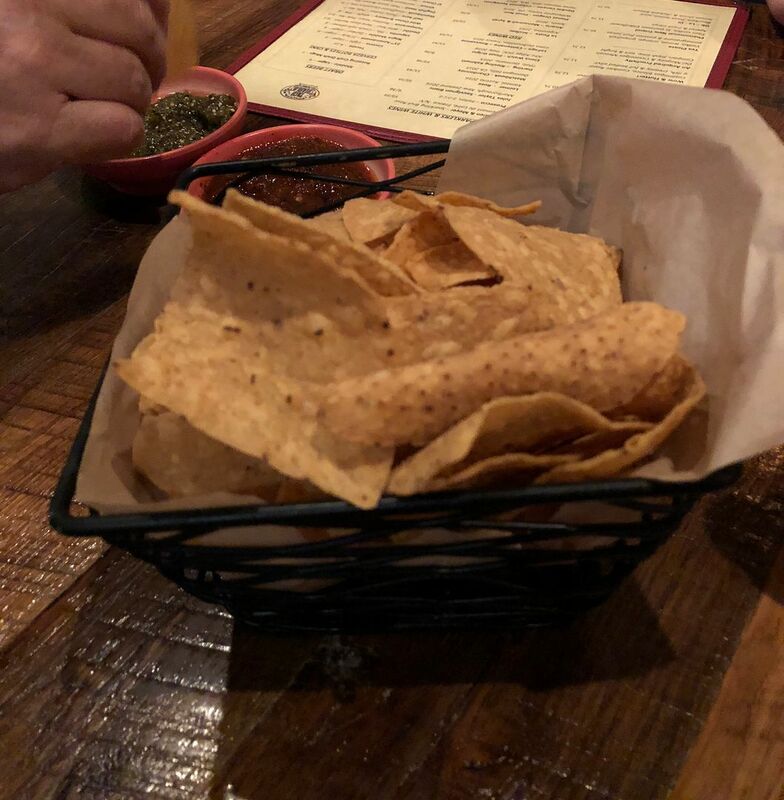 Taco Diablo has become my favorite place for tacos these days, and I love their chips and salsa. 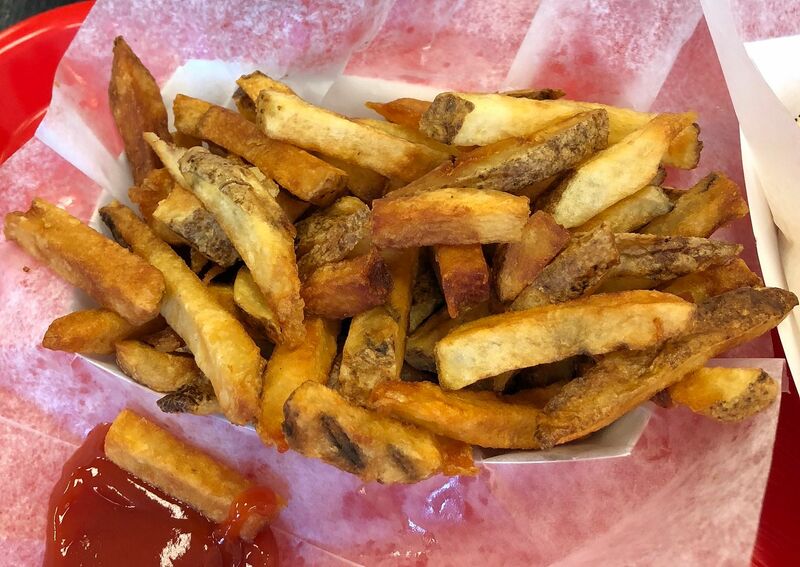 There were comments from the group about how unusual and good the freshly made chips were. 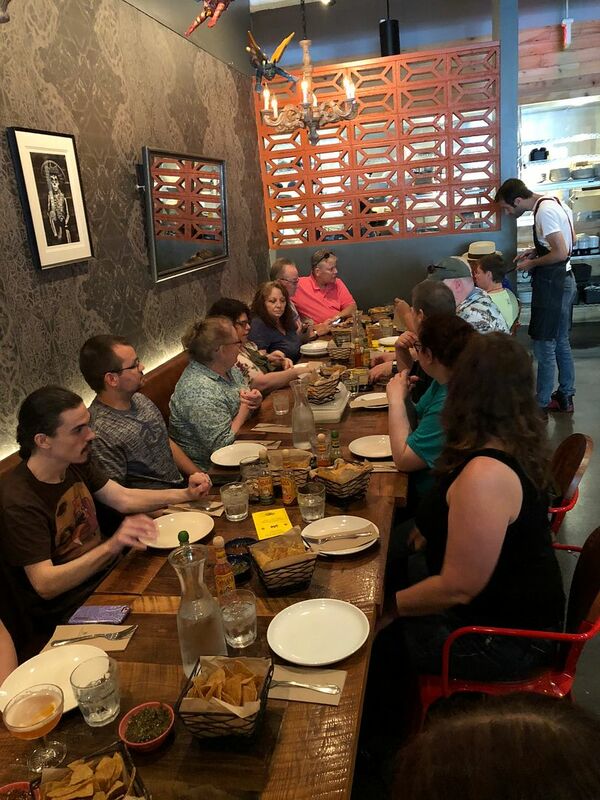 We were lucky to get a combination of tables that took care of our 19 participants. 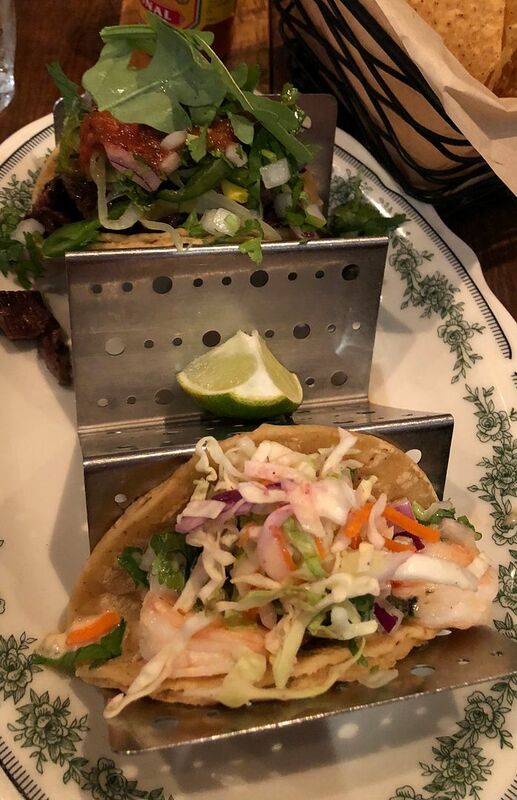 I had a spicy shrimp and carne assada tacos, and both were excellent. Stop no. 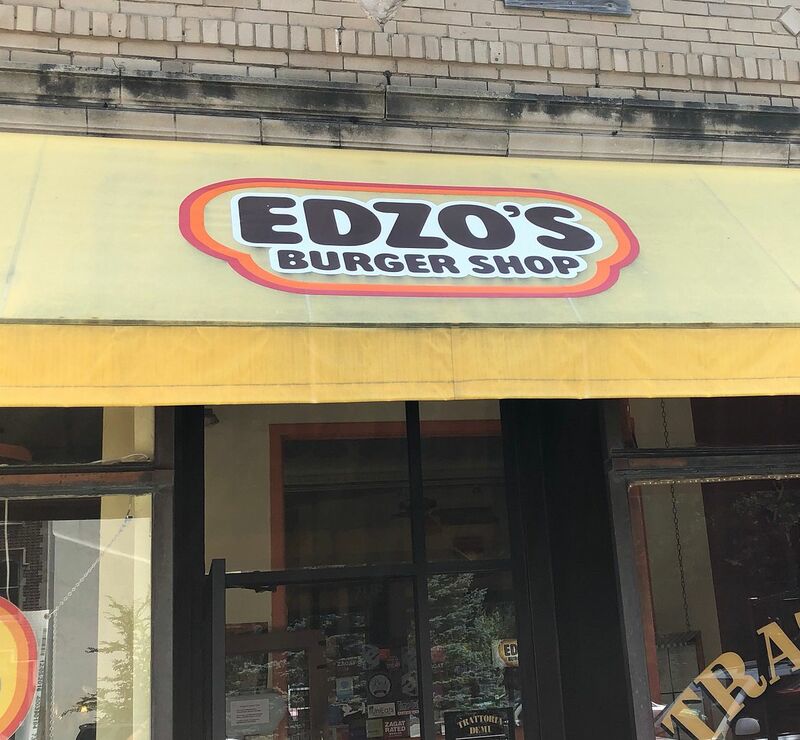 6, Edzo's Burger Shop. 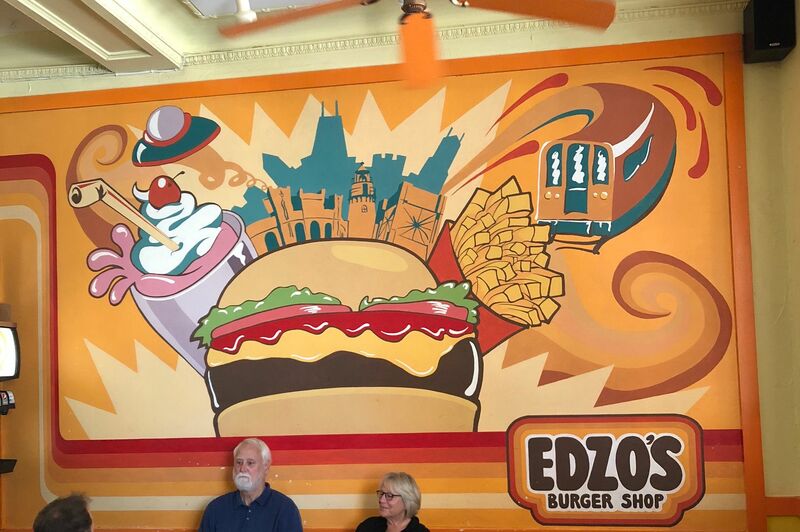 Edzo’s Burger Shop is about my favorite burger. 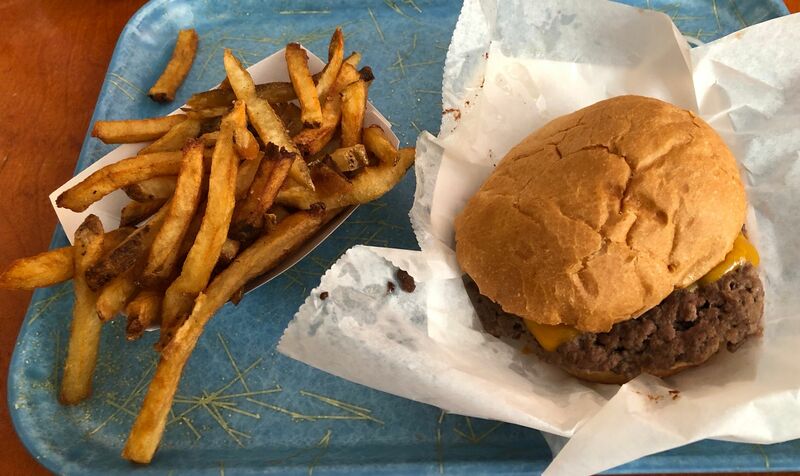 Sometimes the bun seems too big and thick for the single griddled burger, but I love it just the same. 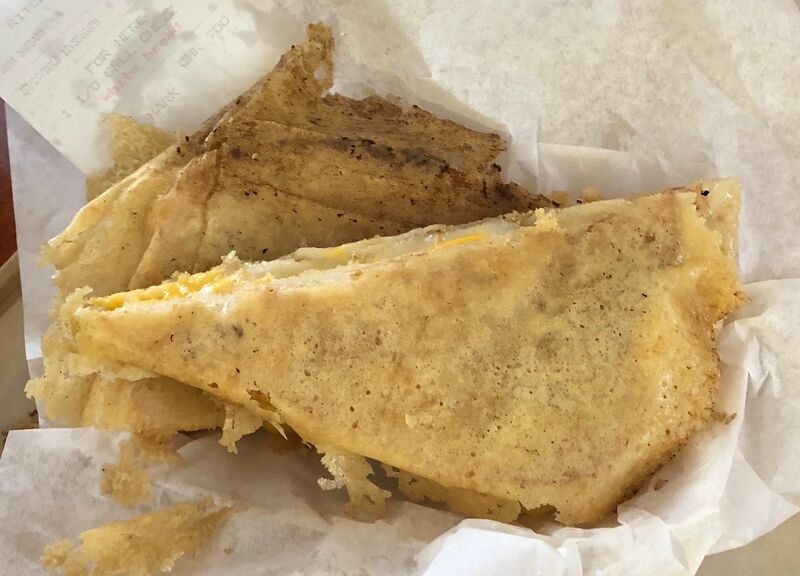 I also had a taste (thanks Mark) of the inside out grilled cheese sandwich which was great. Maybe next time? 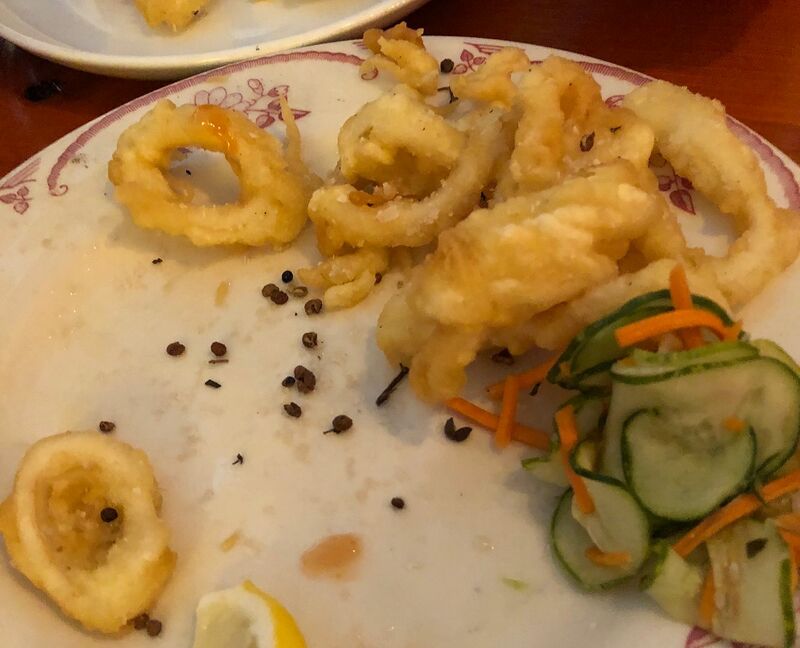 ..... and fried calamari (which I didn't have). This was a very successful stop, with at least one Roadfooder calling it his favorite. Stop no. 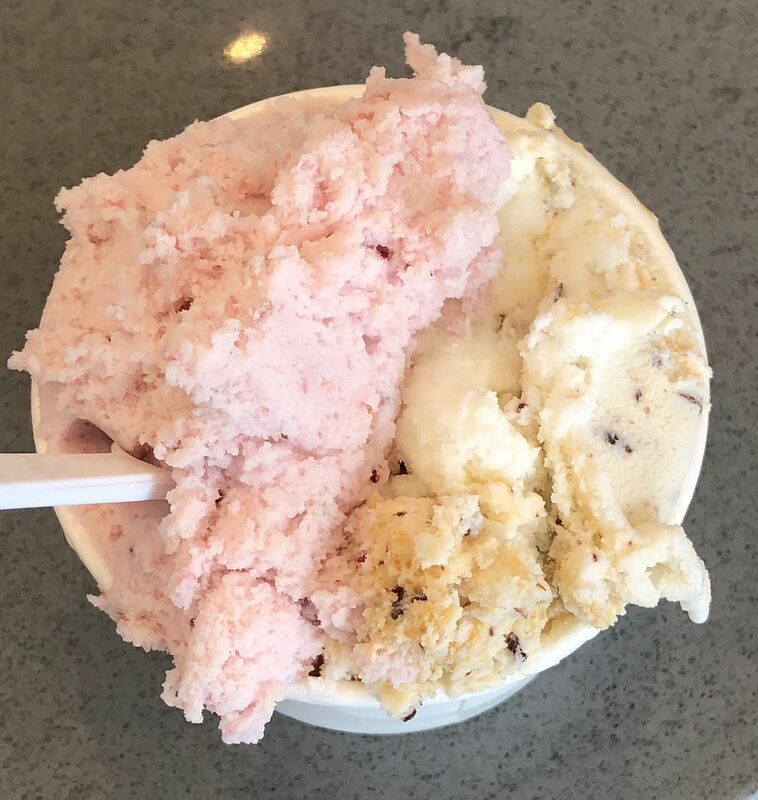 8, Frio Gelato. A little refreshing gelato was just the thing after the last three stops. 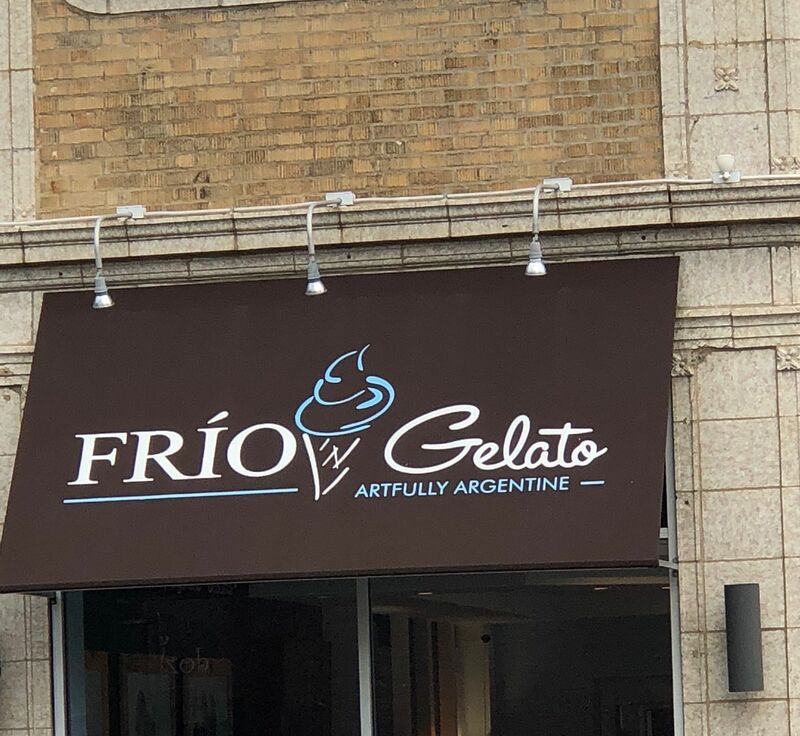 Frio Gelato is a newer place, Argentinian Gelato made in Evanston. I believe they have a couple of other branches now. Does that make them a chain? 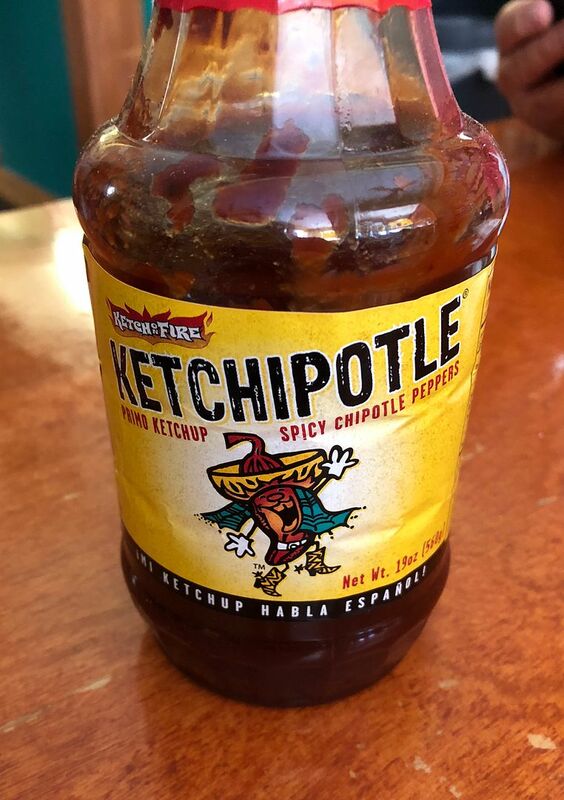 They have quite a few interesting flavors, many of which don’t interest me in the least (like avocado! what are you thinking??) At any rate, it was another good stop. 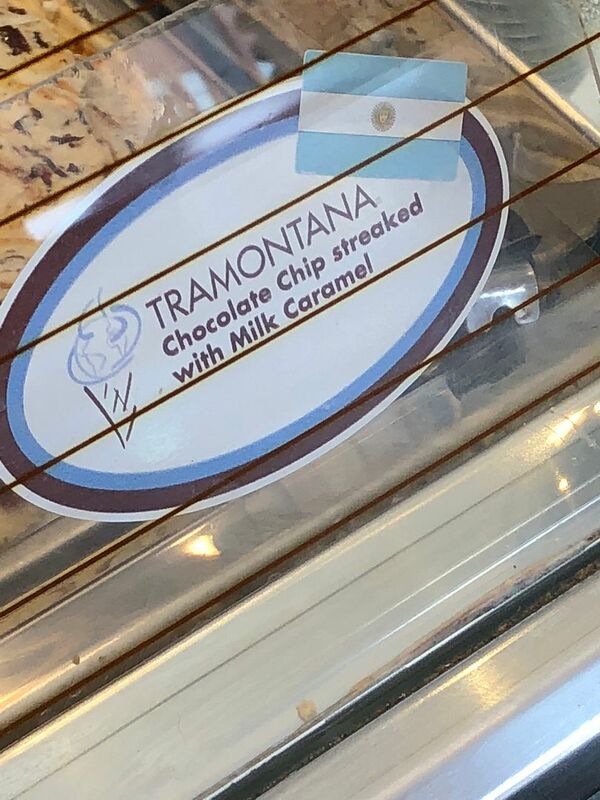 I had the chocolate chip with milk chocolate caramel and strawberry and enjoyed it a lot. Stop no. 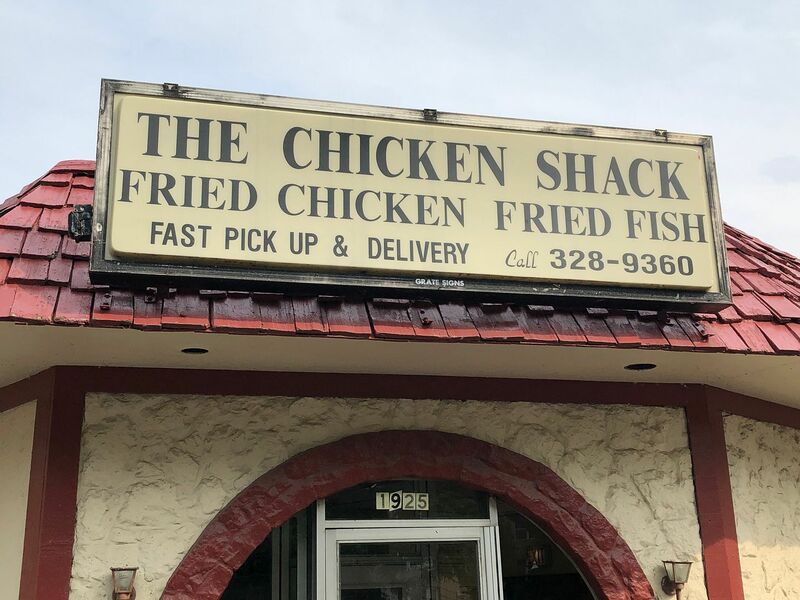 9, Evanston Chicken Shack. 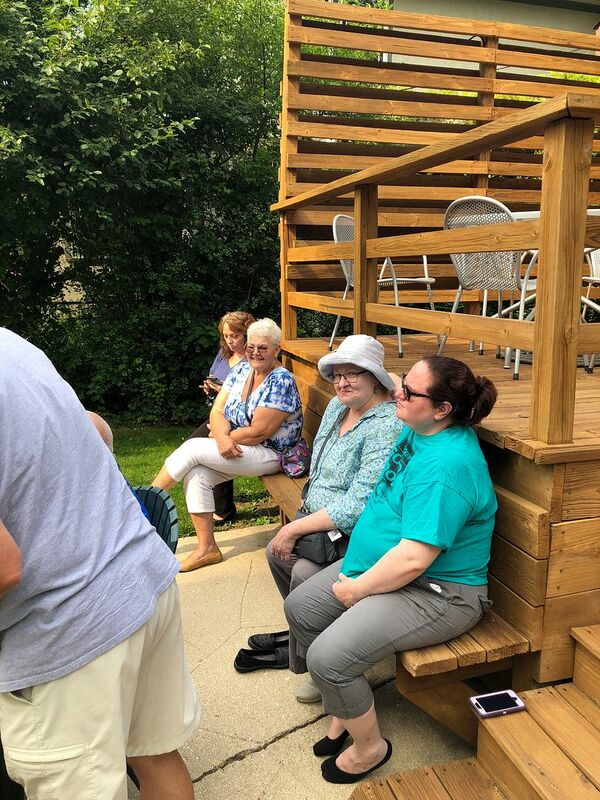 The ninth stop was the Evanston Chicken Shack, but because their seating is so very limited I invited everyone to come to my house to be a bit more comfortable. 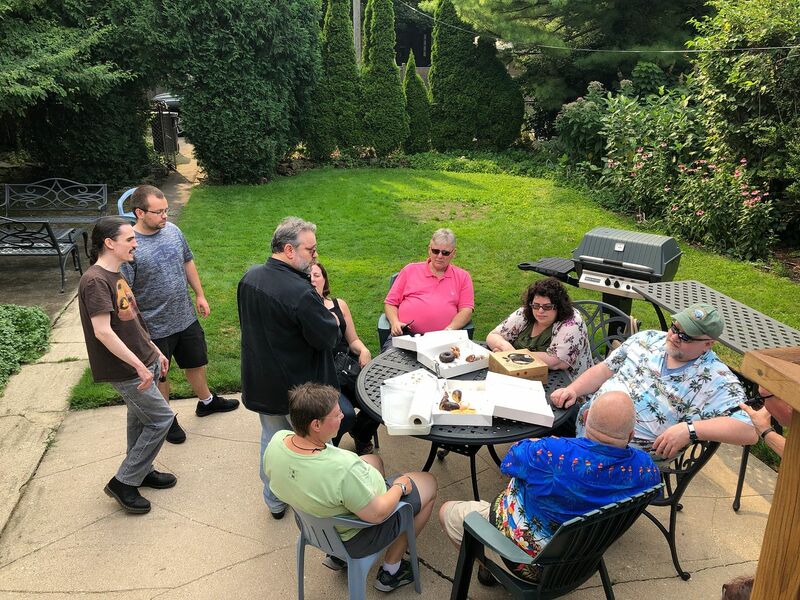 Here are members of the group sitting around, and because no one had had much to eat today, Jeff was passing around the dozen donuts he had asked me to bring him from DB3 from stop no. 2. 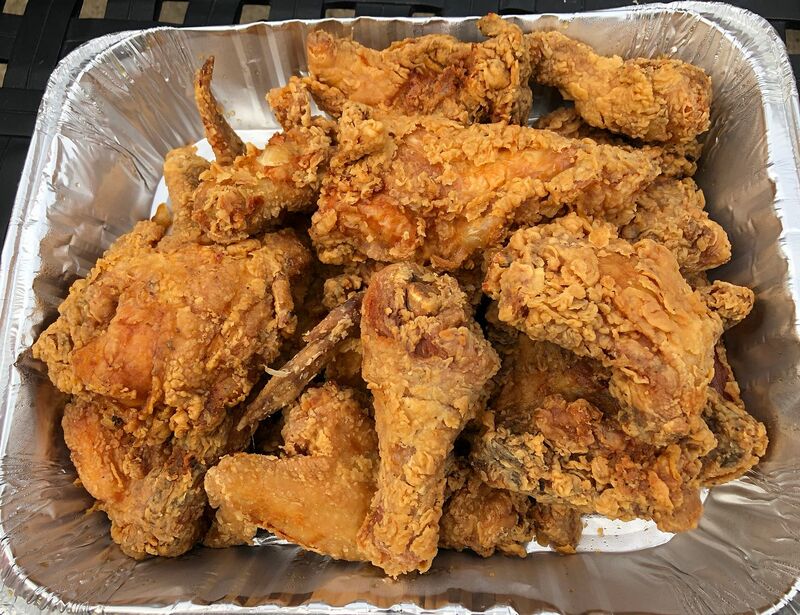 I love the fried chicken from Evanston Chicken Shack. 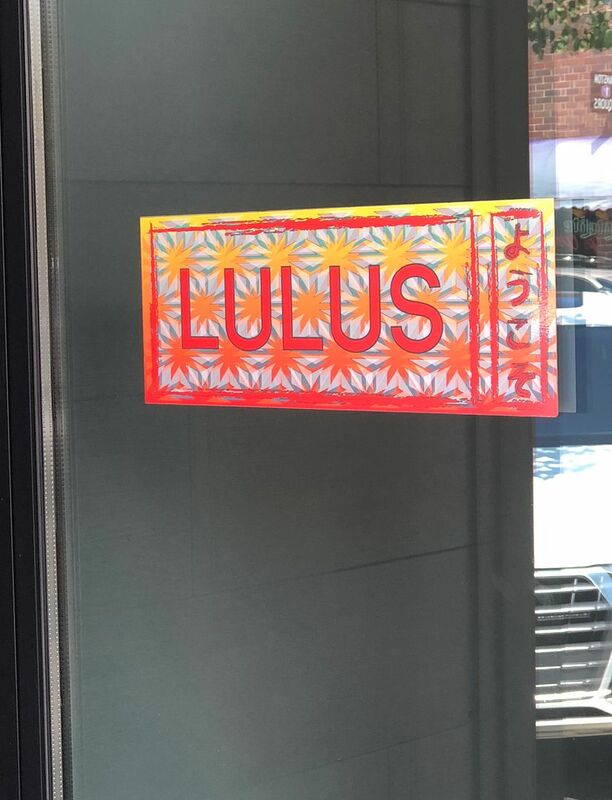 It’s my favorite fried chicken outside of the south. 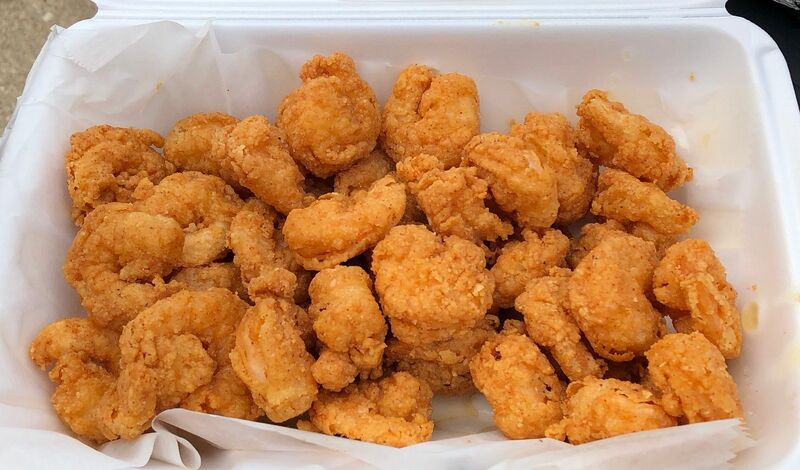 And the fried shrimp are pretty great too. 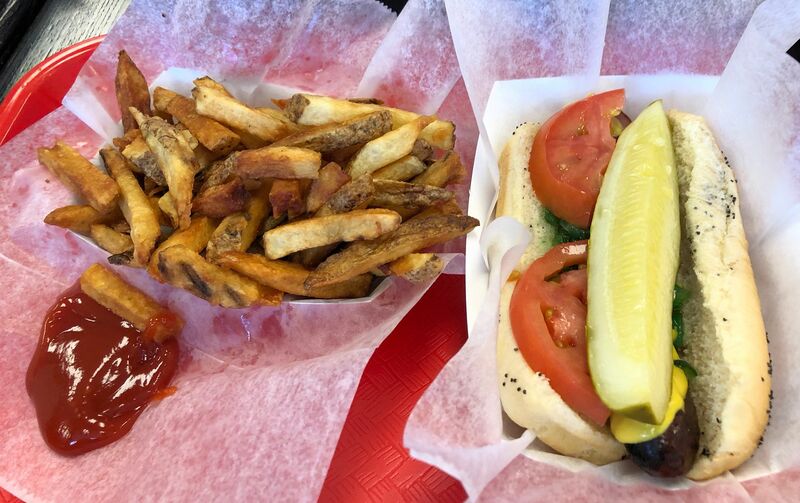 We were all so hungry after the meager portions of fried chicken and shrimp from Evanston Chicken Shack that we just couldn’t wait to get to Poochie’s. 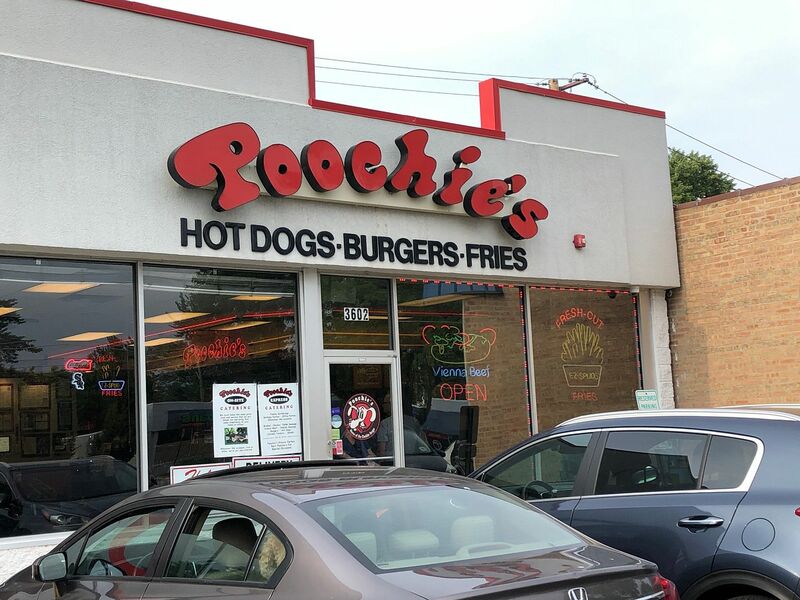 Poochie’s is a Roadfood favorite, and it was a very good stop, especially for no. 10. 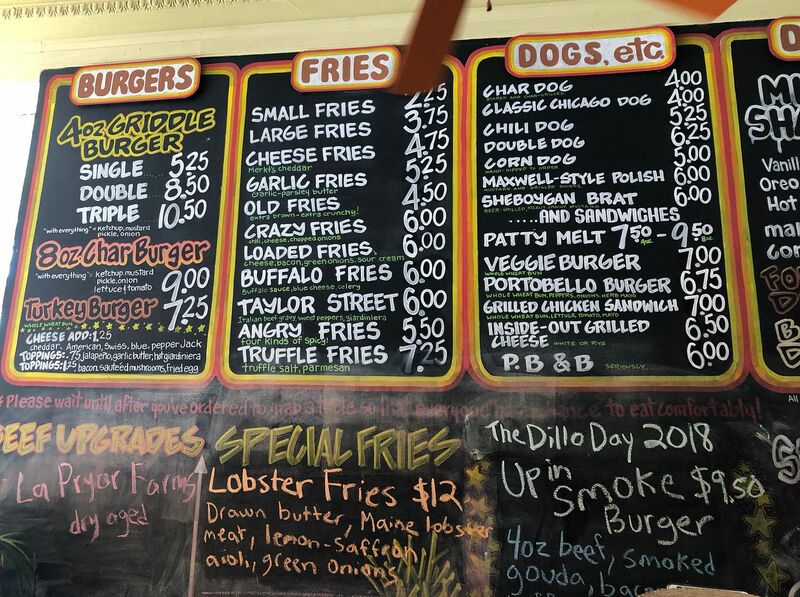 I had an excellent char dog and wonderful fries. My table also shared a traditionally prepared char salami sandwich on French bread. 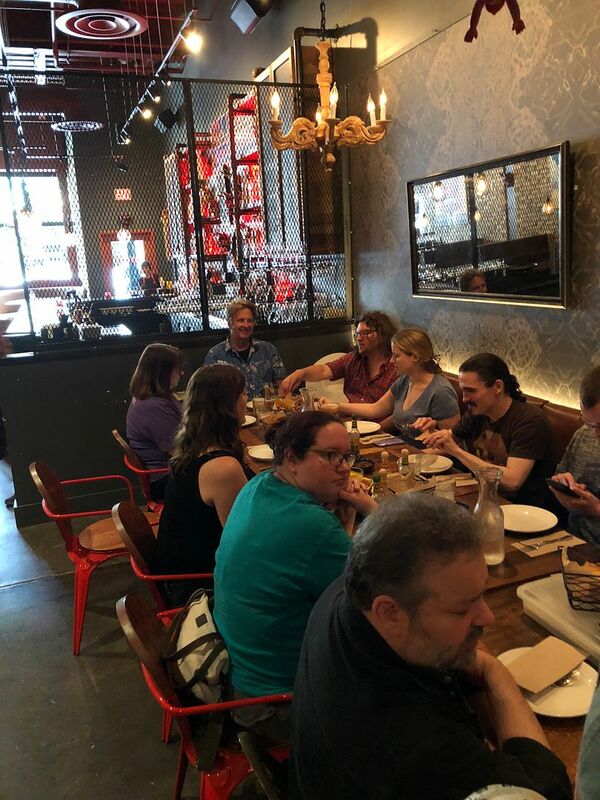 Another table also shared a char salami on a much softer hot dog bun, and the controversy between which way is better will probably continue for sometime, each side digging their heels in. I think there’s room in this world for both styles, and I hope there are no friendships hurt from this very serious controversy. 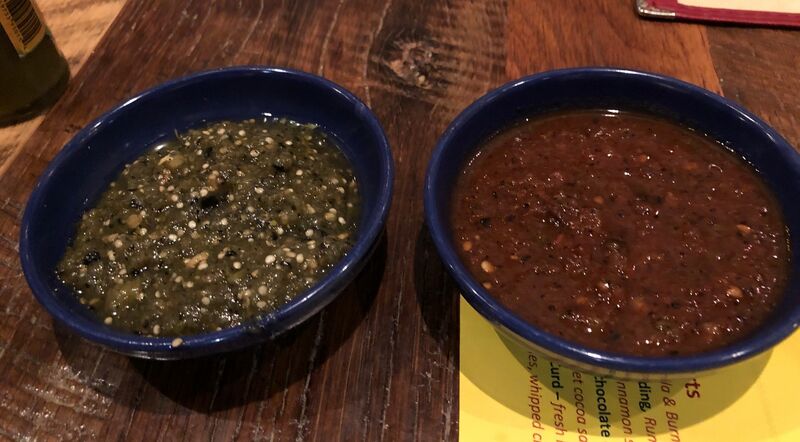 It could be that an expert on all things Roadfood might need to be brought in to make the final decision. Has anyone heard from the Sultan recently? Stop no. 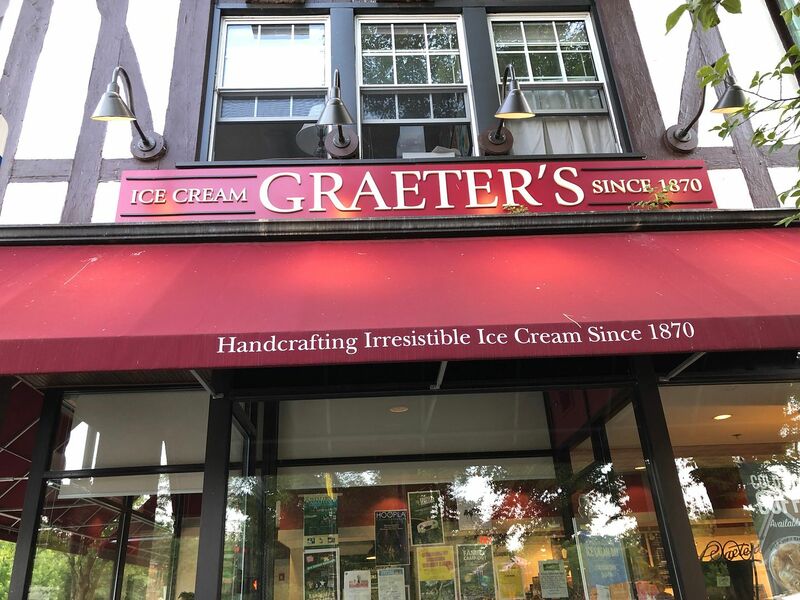 11, Graeter's Ice Cream. The final stop. The final stop couldn’t have been a better one, even though it wasn’t in Evanston. Graeter’s ice cream is nothing short of fabulous, and a great way to end this great day. I had a double scoop of coconut chip and mint chocolate chip. 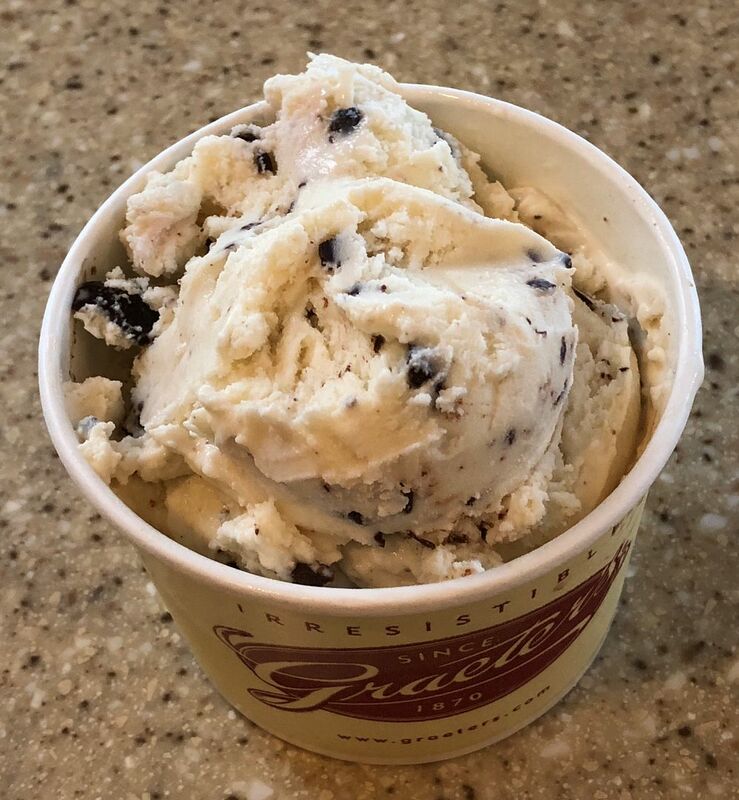 I had been to Graeter’s the night before to make sure they were still keeping up their standards and I’m happy to report that they were on Saturday and they were again on Sunday. My favorite ice cream by far. Thank you to all who attended this wonderful day. My only regret was that there were a few of the group that didn’t have the stamina to see the Crawl through to the very end. I know it was a monumental day, and I have only one word for those who didn’t quite make it, and it's the same word that answers the question, how do you get to Carnegie Hall. Practice! Great tour David! Now here's something that most people know. Aldi's bakes the absolute best almond croissant. Their chocolate croissant is excellent, too. Here's the catch: they're only available at Aldi stores with their own in-house bakery. Get there early, they sell out quickly. For only 99 cents, it's the best pasty buy in the world. Another great buy is their chocolate bundt cake. For $3.29, it gives Portillo's chocolate cake a run for it's money. Years ago, Buddy turned me onto their chocolate bars, made in Europe, with no chemicals. What a steal! How do you find the Aldis with the in-house bakeries? Thanks for the info. I hope I can find one. I thought the bagel was a C+ at best, several points removed for the attitude and poor choice on licensing. A D...never to return. DB3 is a different story. 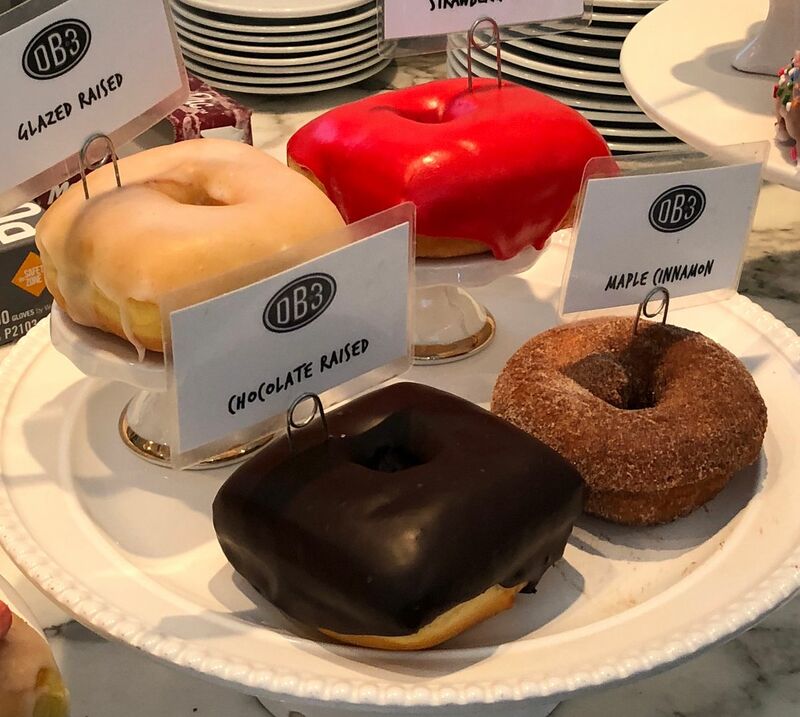 Seemingly a direct clone of Five Daughters, and who wouldn't want to copy a successful $$$ making machine, I enjoyed these donuts. The Dude was my #1 with a strong maple flavor and the bacon, crisp, sugar and maple....just perfect - A. The Sprinkle Donut, my go to comparison donut rated a B+. Patisserie Coralie was a cool stop and one of my kinda places. I loved the vibe, the customer service and the variety. 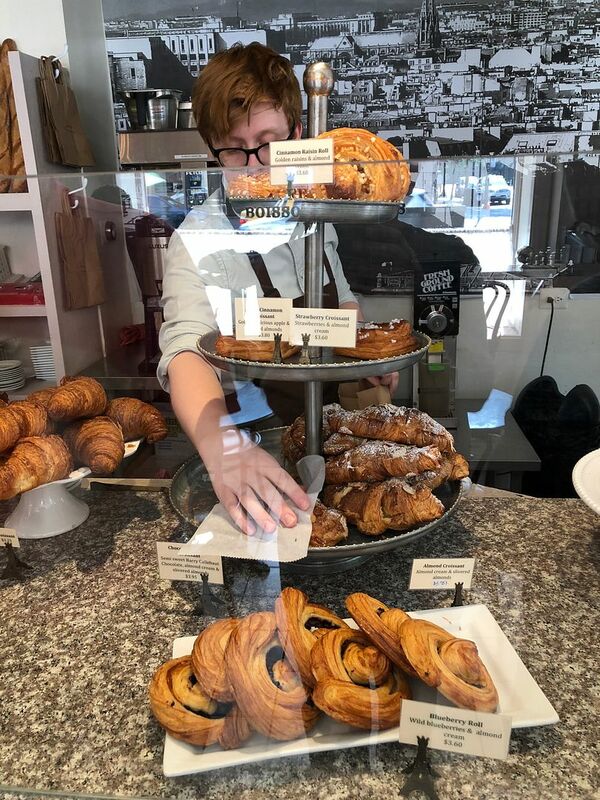 My standard for comparison is the Almond Croissant which is my favorite pastry. This one was low on filling, slighty over baked rendering it to crispy...B-. The Strawberry and Almond Cream was solid....B+ and the snacks of some of the other items were good enough to return. While it was still early in the game, this is the stop I had been waiting for all week and it proved to be the Crown Jewel of the day. I sent my pie dream sheet into Paula Haney, the Hooiser Mama Goddess of Pie! Let's go buffetbuster....whatta ya got? My highlight, as if the pies weren't enough was getting to meet Paula. David was kind enough to wipe the blueberry off his chin and called me over. A Roadfood highlight and I enjoyed a nearly 20 minute conversation with the Pie Goddess! She has agreed to put Sour Cream Raisin (my #1 request from my list) on her fall/winter experimentation. I promised lots of good photos and background over the next month. Will keep everyone posted on this. Grade...PRICELESS! This is a Roadfood stop that will rank high ion my memory! Thanks David, Thanks Paula! 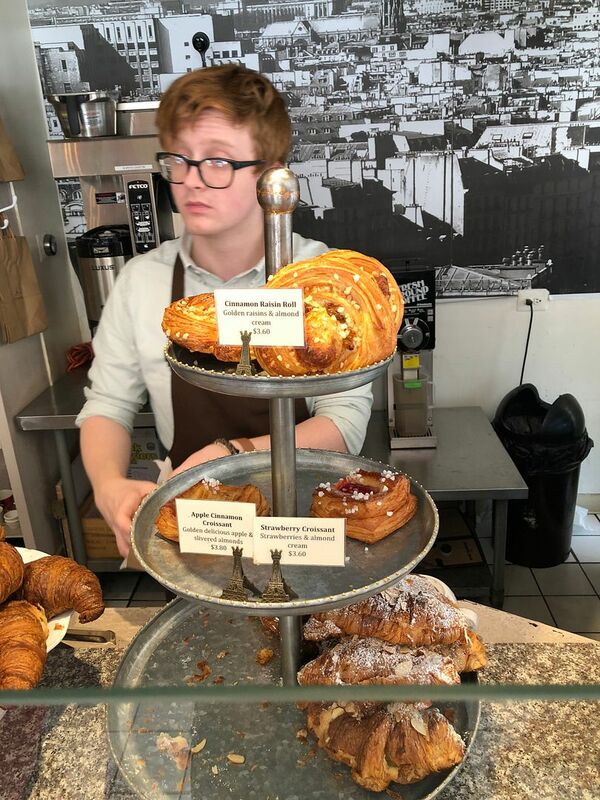 I second Mark's opinion on ALDI croissants. 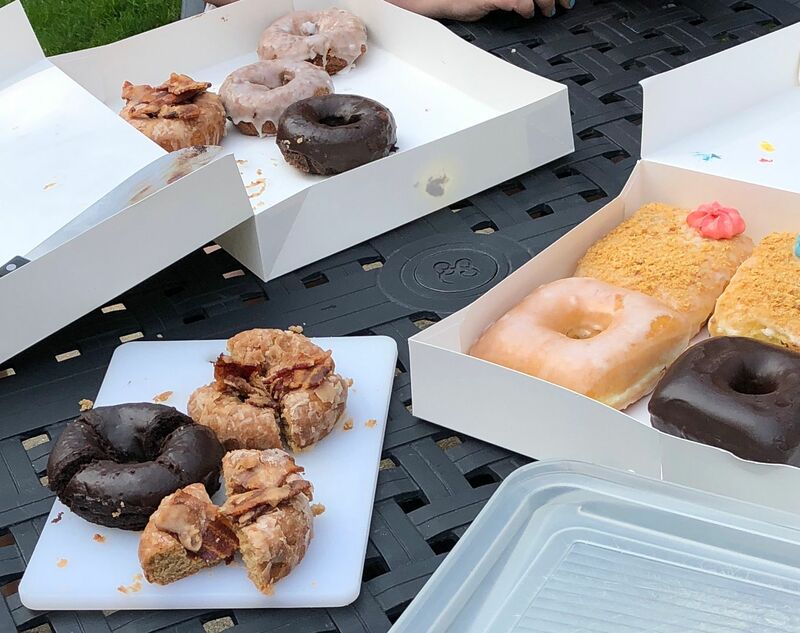 ALDI's donuts and fritters are first rate, also. 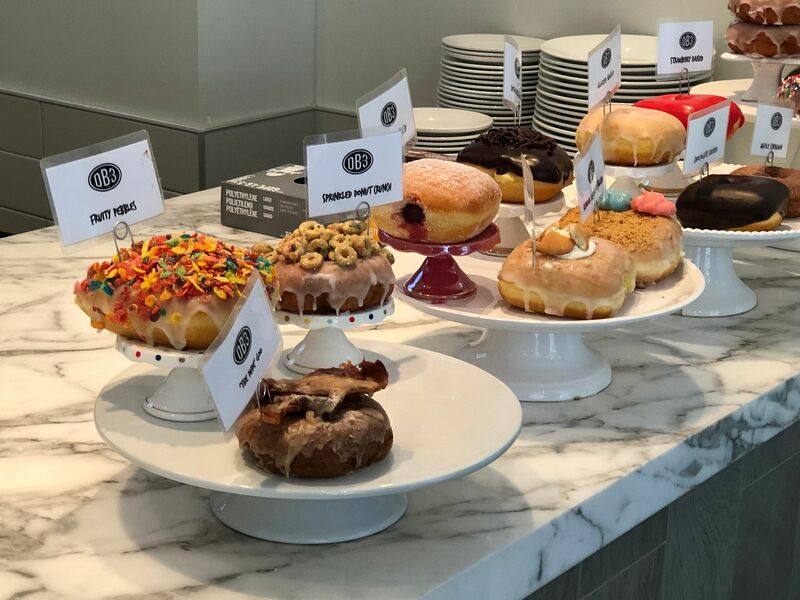 There is no reason to ever go to a expensive specialty donut shop again. 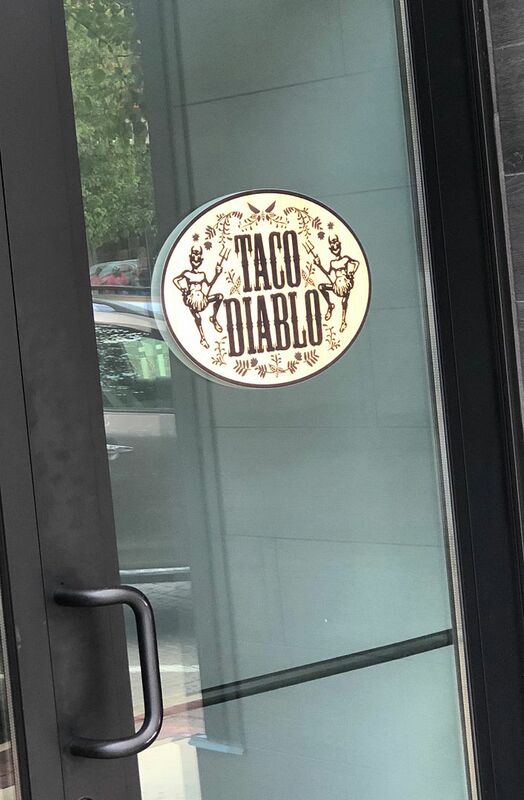 Taco Diablo was a sleeper and I did not expect the level of food we received. 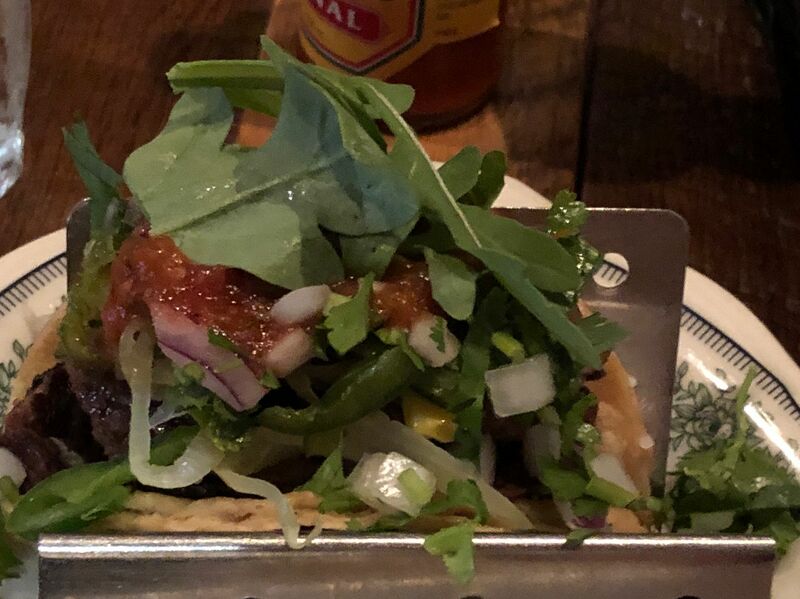 The humble taco was brought to new heights and the guacamole was near perfect and graded in at A-. 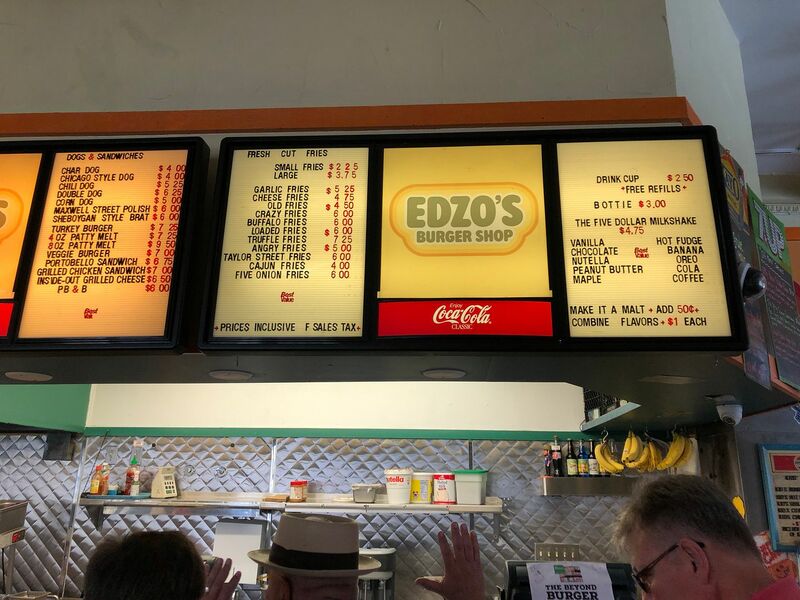 Edzo's had been on my bucket list for some time and the joint itself is pure Roadfood. Perfectly situated in the heart of the downtown walking area, it enjoys a steady crowd. I went with a single flat top grilled with grilled onions and Merkt's Cheddar along with tomato. 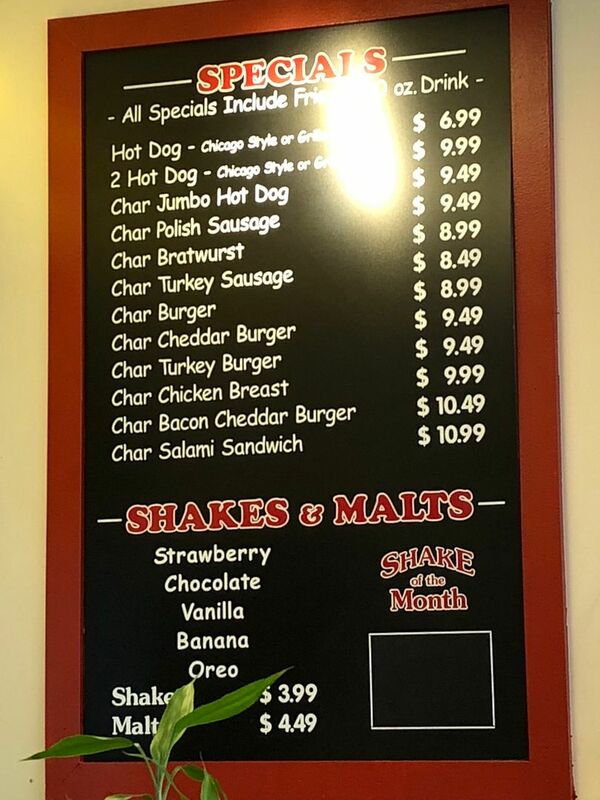 Merkt's fries and a banana malt completed the order. I was a bit underwhelmed at first as the Merkt's was nearly non-existent. I spotted Barbara the manager on duty and had her take a look. Her eyes told the story. 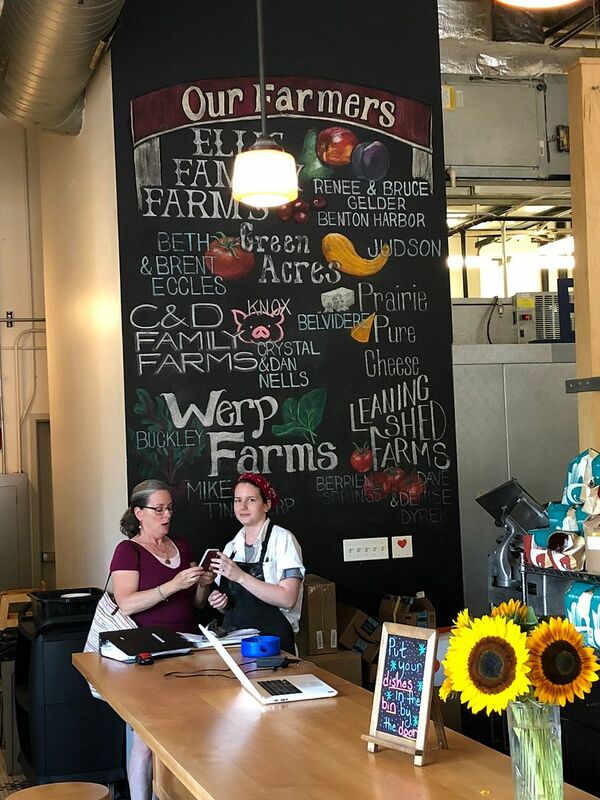 The "new guy" has not been trained in the finer art of applying Merkt's and she personally went back and fixed the problem and made it a learning moment. She also went around to all the tables inquiring about their respective cheese levels. 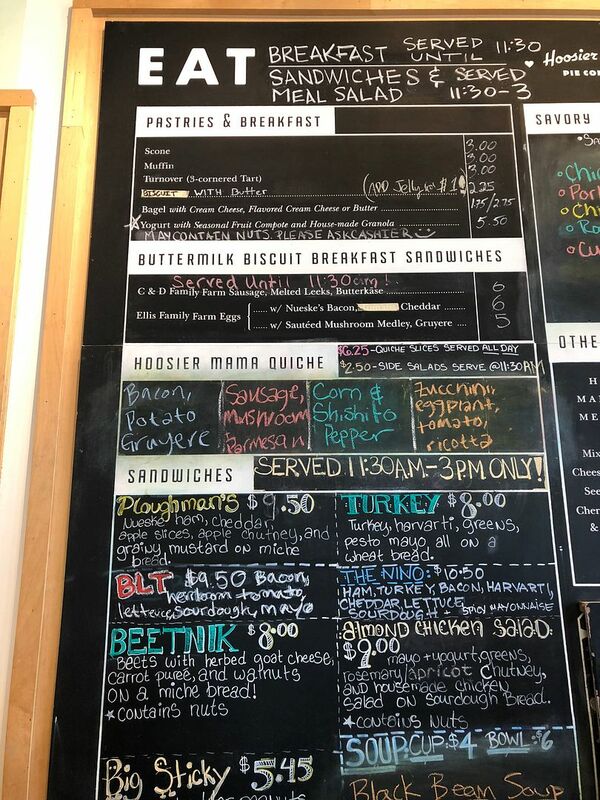 The upside is the problem was corrected and I got to try Merkt's with bacon crushed into it. WOW! 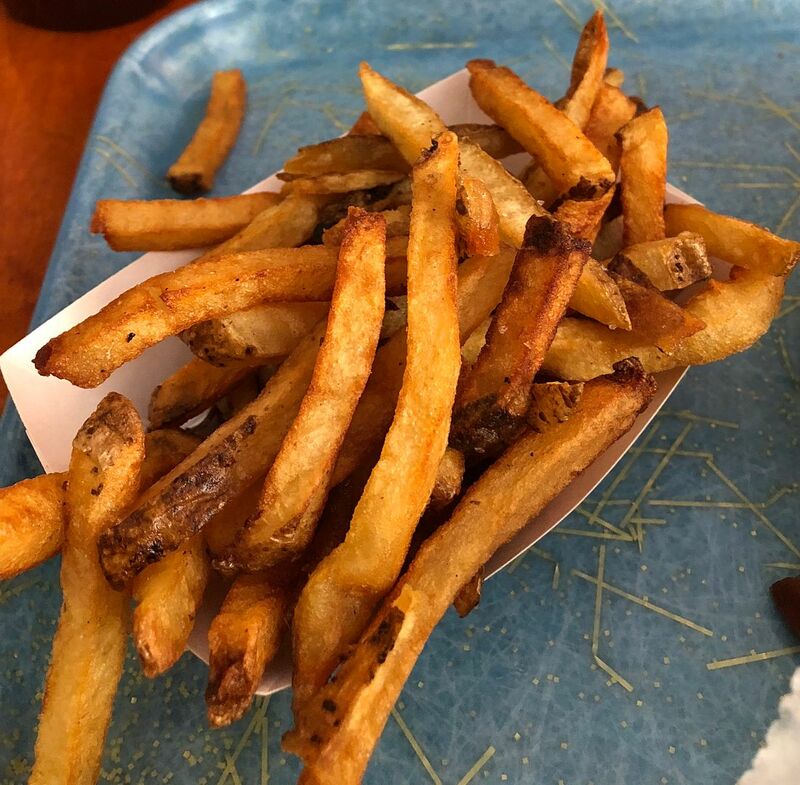 Fries another B and the banana malt with side beaker a B+. Would be happy to return! 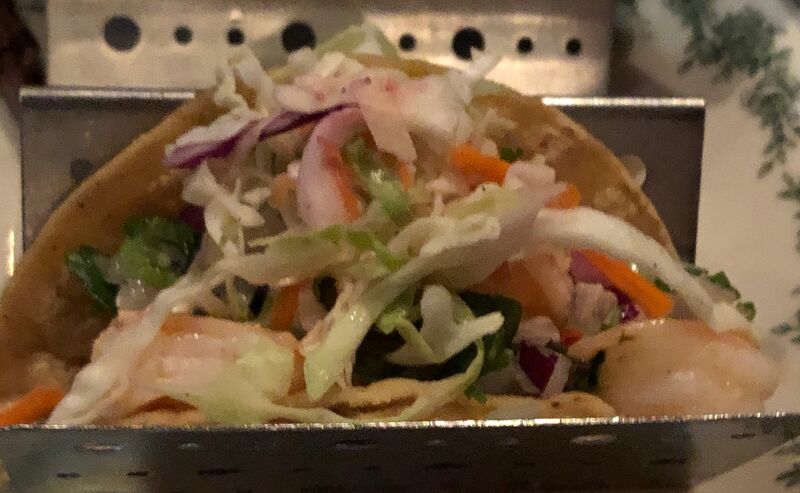 I'm not sure Edzo's is going for the same smashdown, crispy edges effect as Green Gables, or similarly inclined establishments, so to compare them might not be fair. 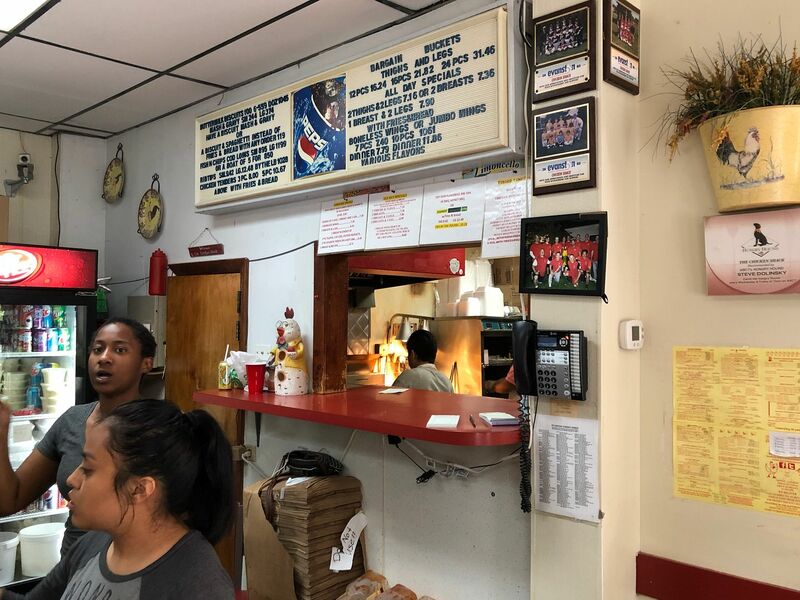 OTOH, it was pointed out to me by some folks that they were much more impressed with the Red Hot Ranch Burgers we had on the Honey Butter Fried Chicken Tour last month. 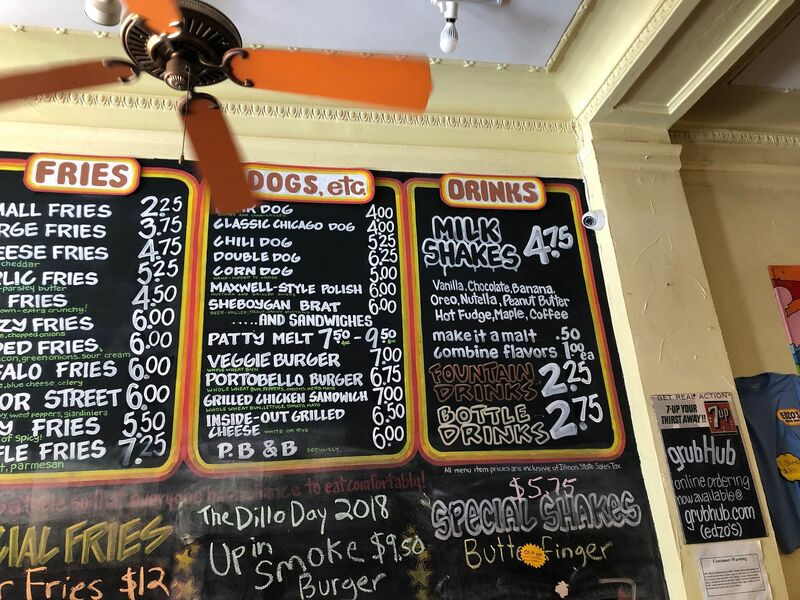 RHR is definitely in the Smashdown Camp along with Green Gables and other Central Illinois burger joints. So if you like that style, it's available at RHR on a regular basis, and much closer to home. The Aldi's with an in-house bakery have a glass display case with serve yourself bakery goods. It's a matter of hunting one down. 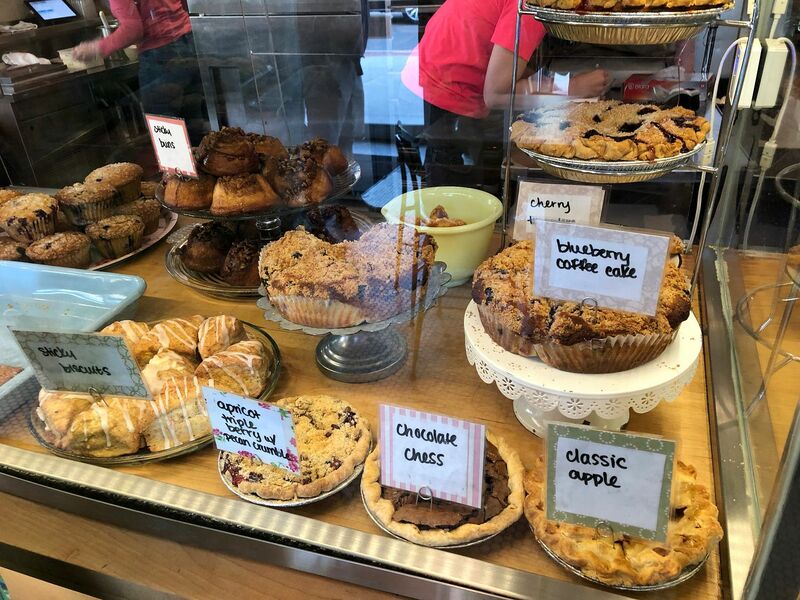 The one in Racine, WI does not have a bakery. The one in Kenosha, does. As far as I know, there are only 6 Aldi's in the USA that have in-house bakeries. There are 2 in Wisconsin, 1 in Batavia, IL and 3 here in Maryland. The one in Elkridge MDis just a short distance from where my daughter-in-law works so she stops in often. 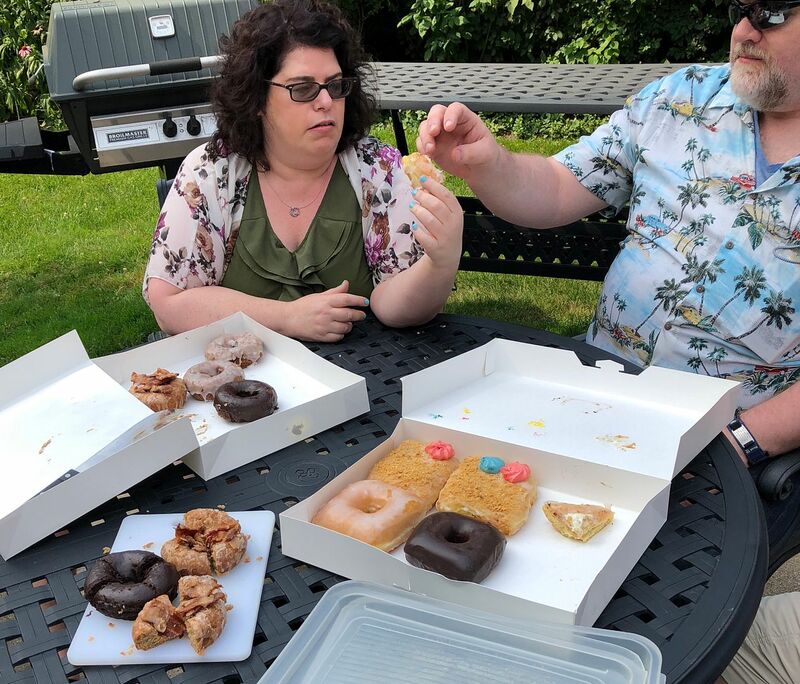 Everything that we have had has been delicious with the exception of the apple fritters which were nearly apple-less! Batavia....right next door to Geneva David!!! Wow, I feel lucky. The ALDI 3 miles from home has a bakery. Sounds like a prisoner exchange is in order...Aldi for Firecakes! Gregg, boy, you're a tough grader! Not that I'm being critical, but I would think that this statement, "It was awesome! Paula's crusts are legendary and her previously released pie book goes through the step by step details. Tart, creamy, fruity, crunchy and of course all enveloped in one of her special pie crusts. Fantastic!" would warrant an A, and not an A-. But I do understand that you would want to distinguish between everything else and an A+. 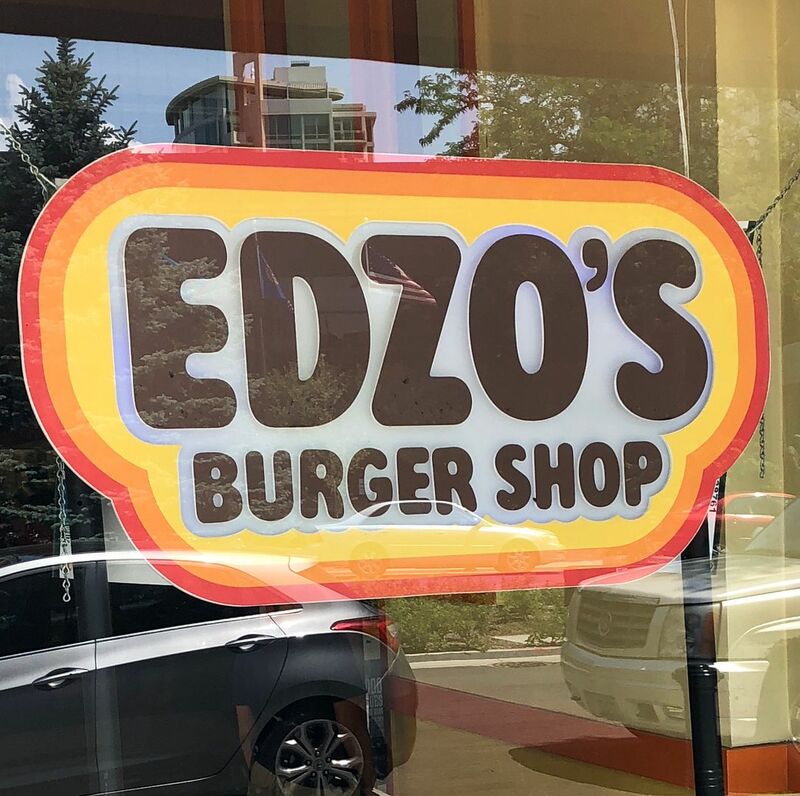 I've wondered about the bun on Edzo's burger for years. It's always been the weak point for me. I'm sure I remember that when they first opened the bun was much smaller, much softer, with a much better bun to burger ratio. I've had the burger at Red Hot Ranch twice, once at each of the locations. While I thought it was okay, I didn't love it. 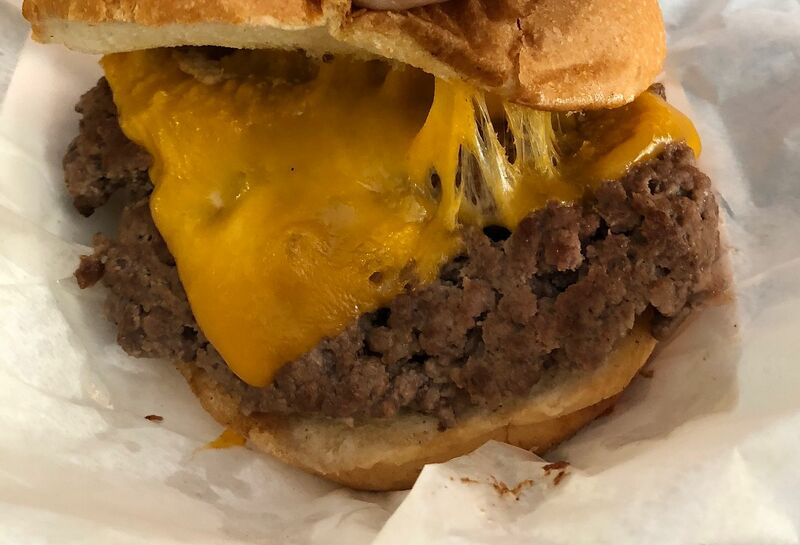 I do think that the RHR bun is a much better fit for the burger, and I wish that Edzo's would use a bun like that.